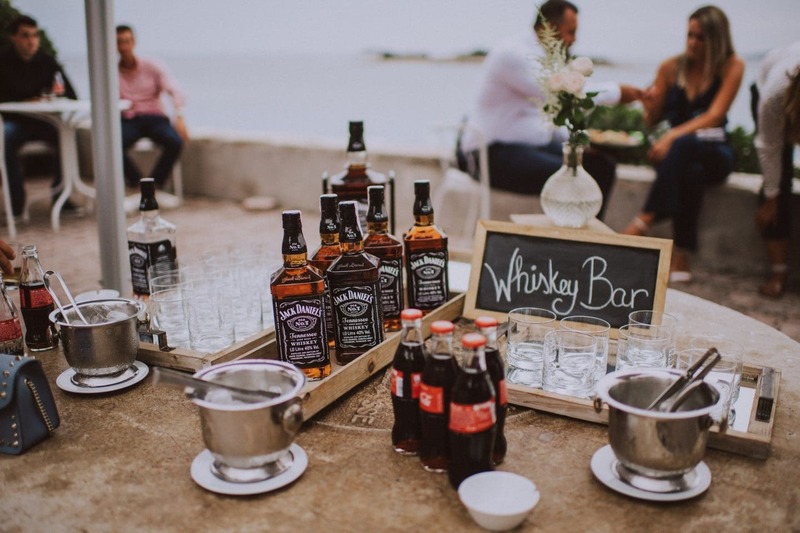 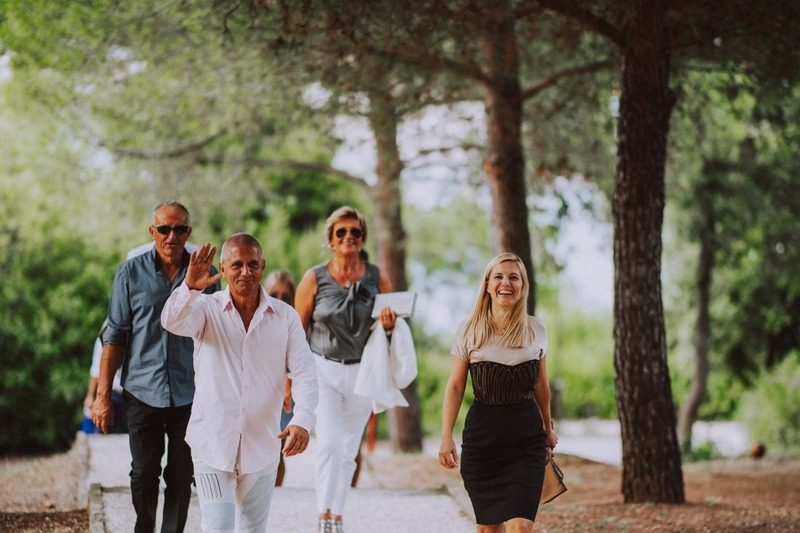 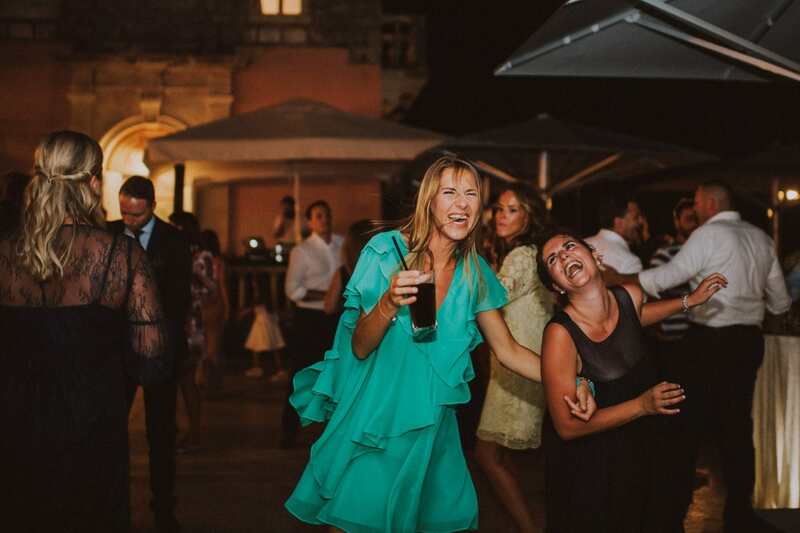 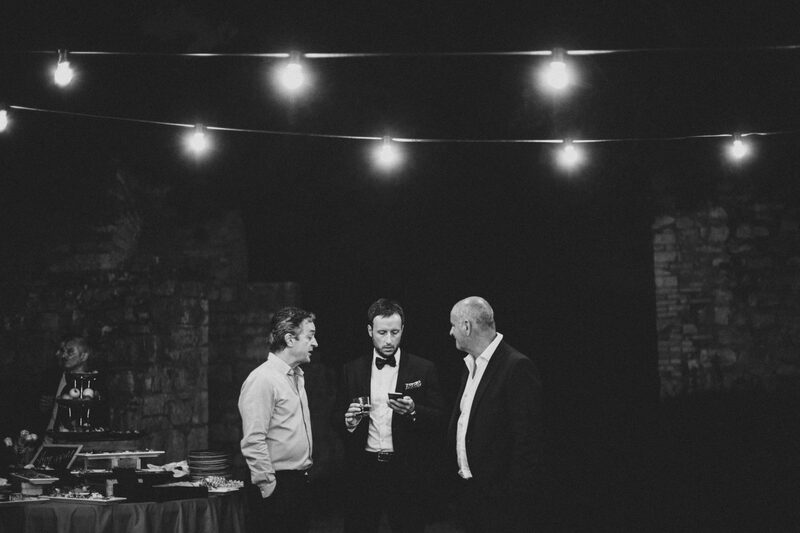 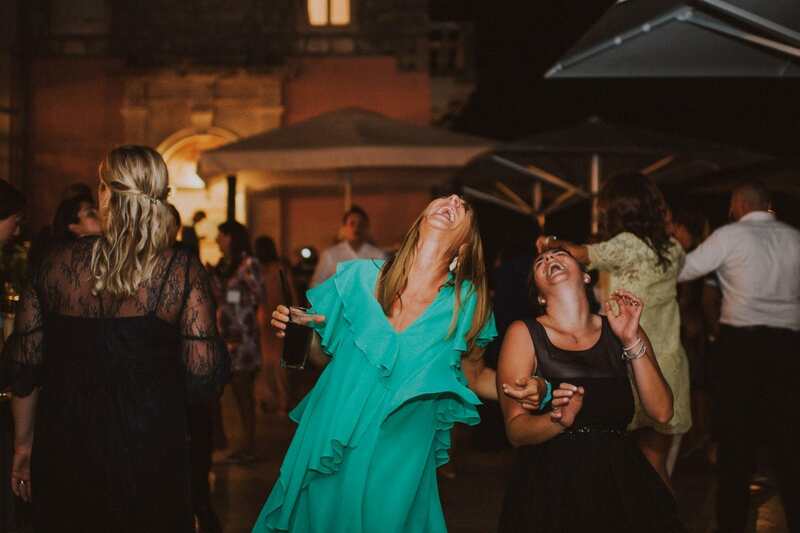 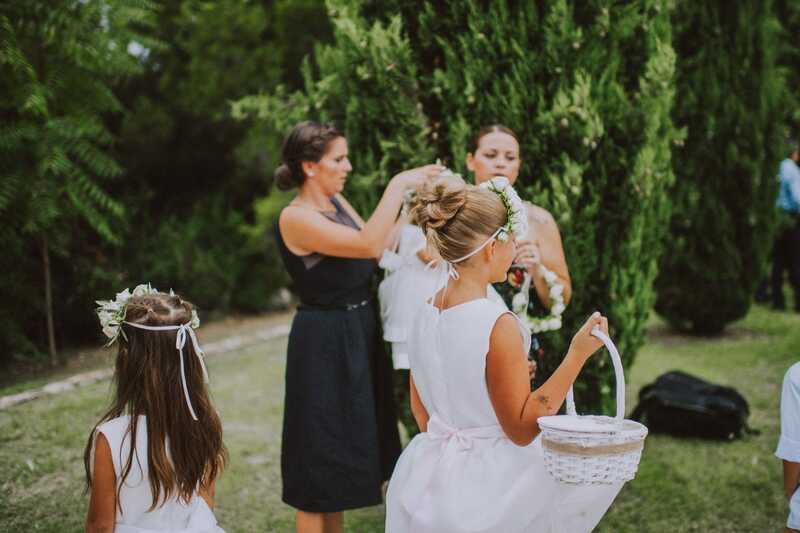 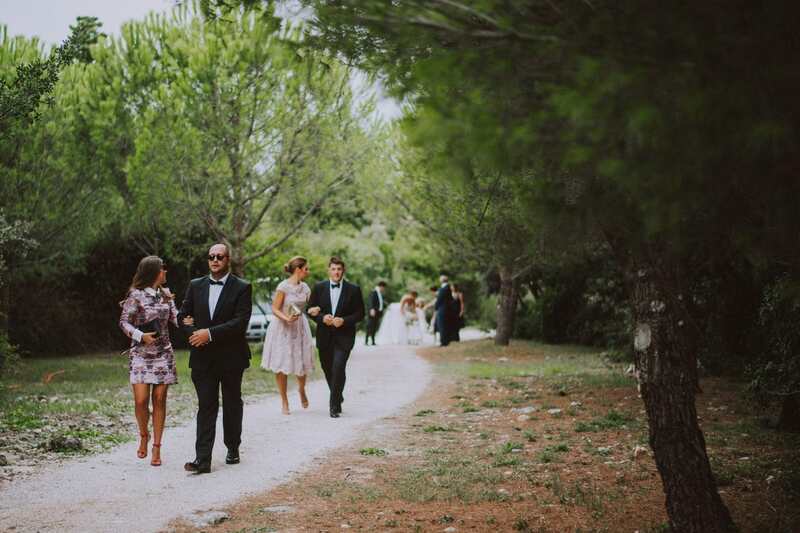 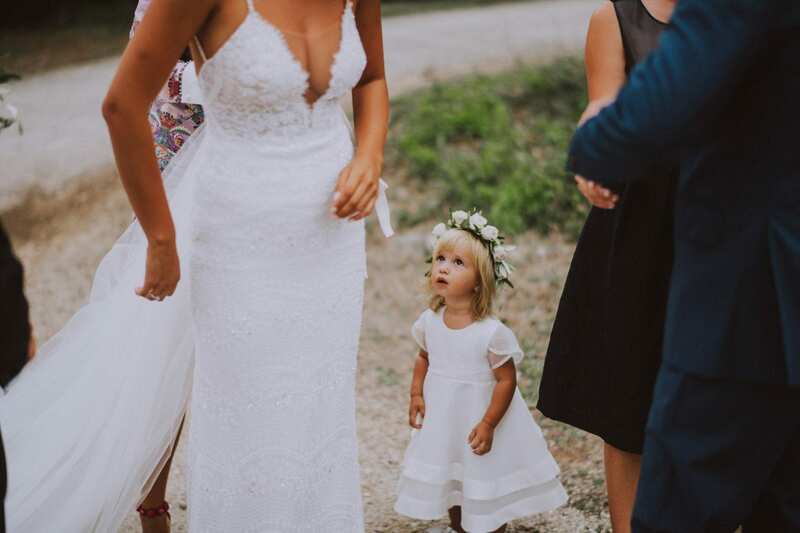 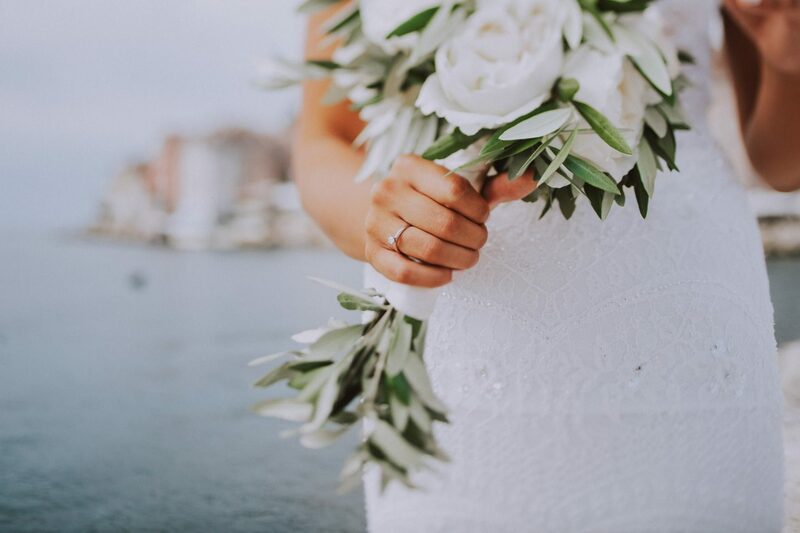 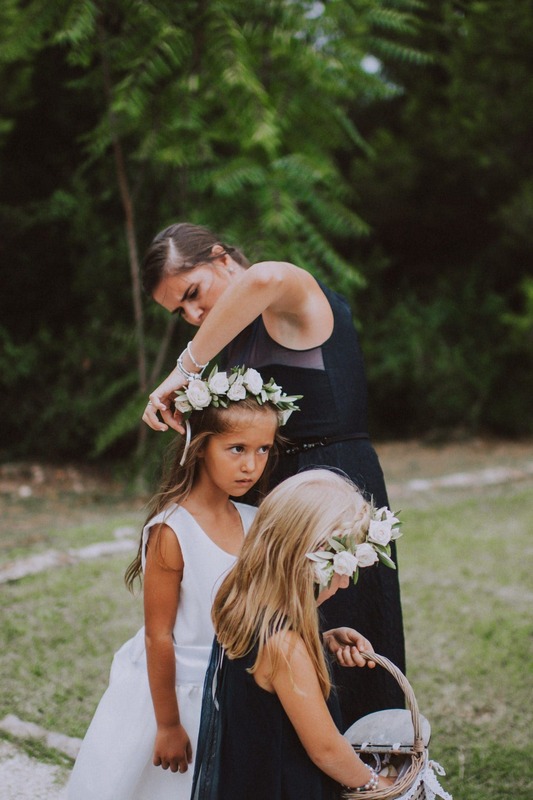 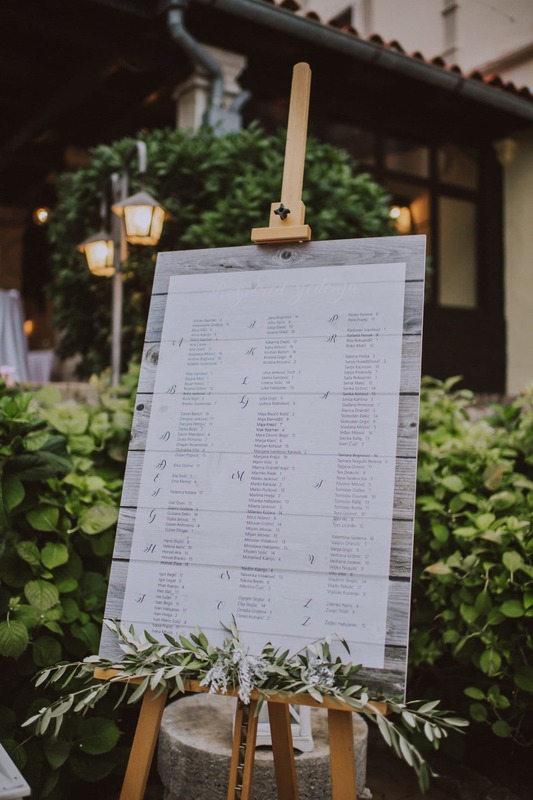 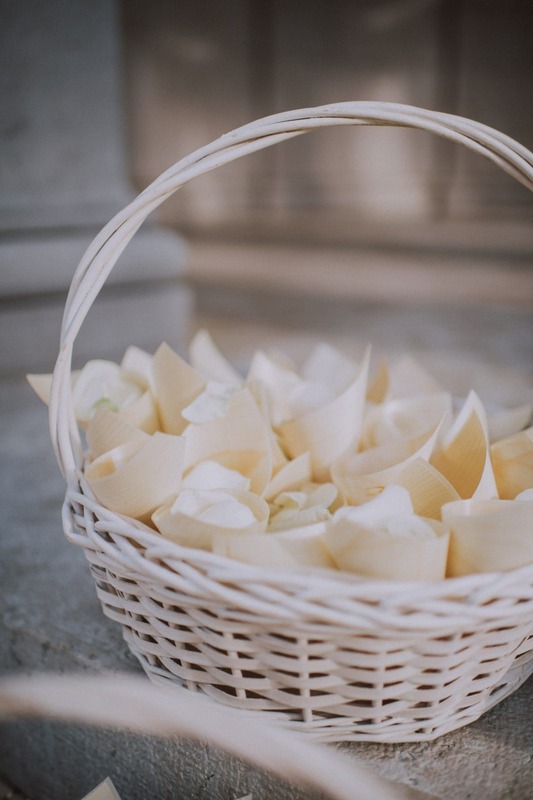 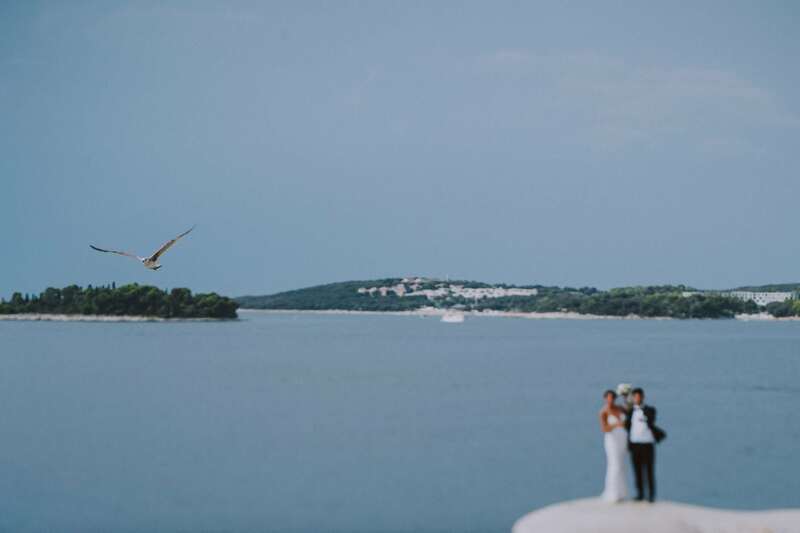 Among the best works done this year, we remember this Red Island / Crveni otok wedding. 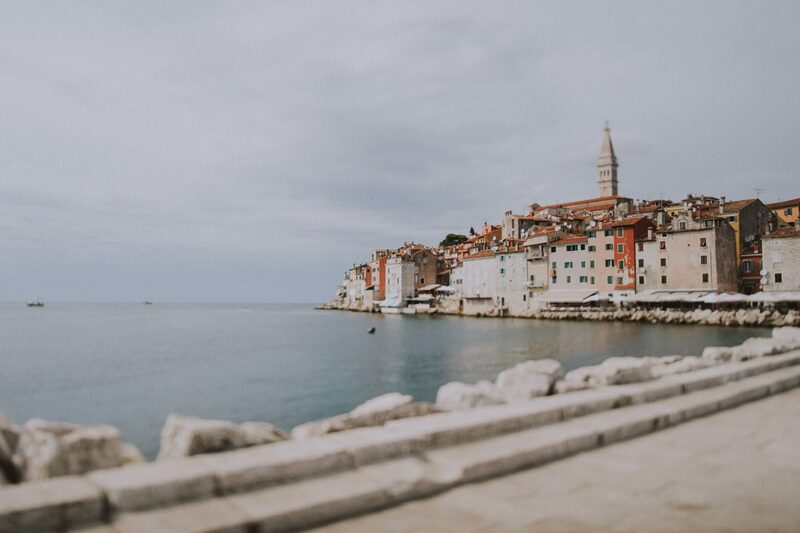 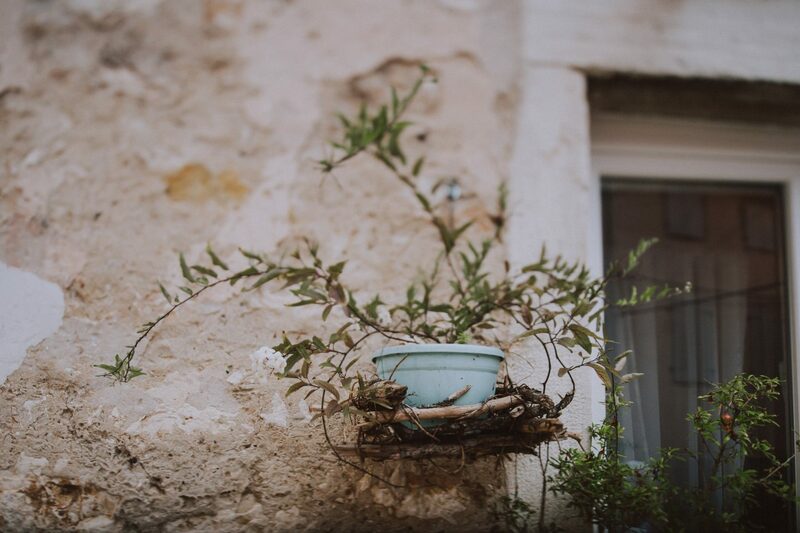 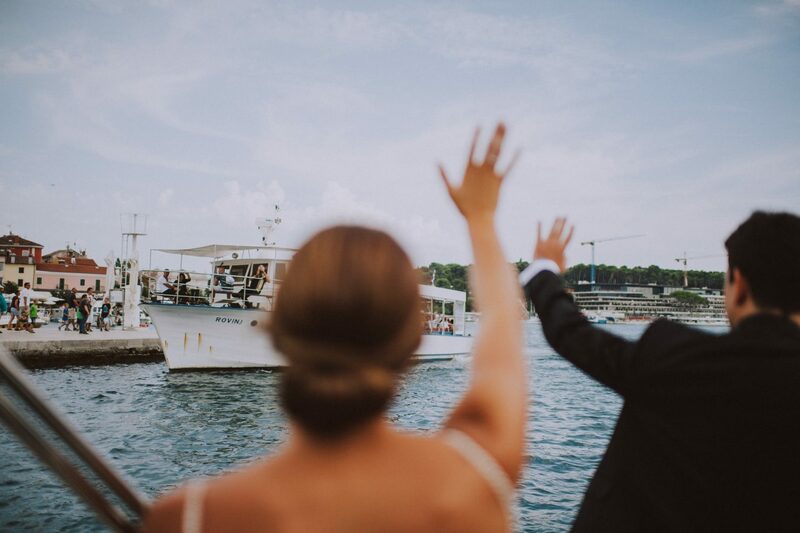 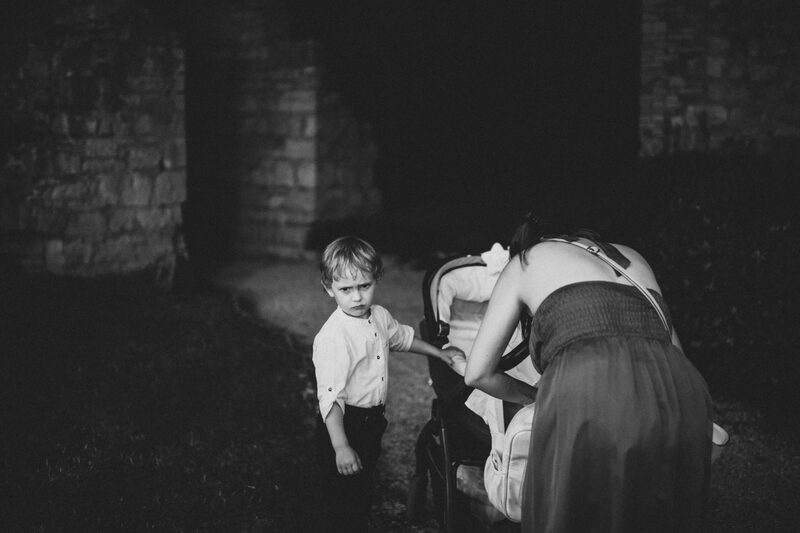 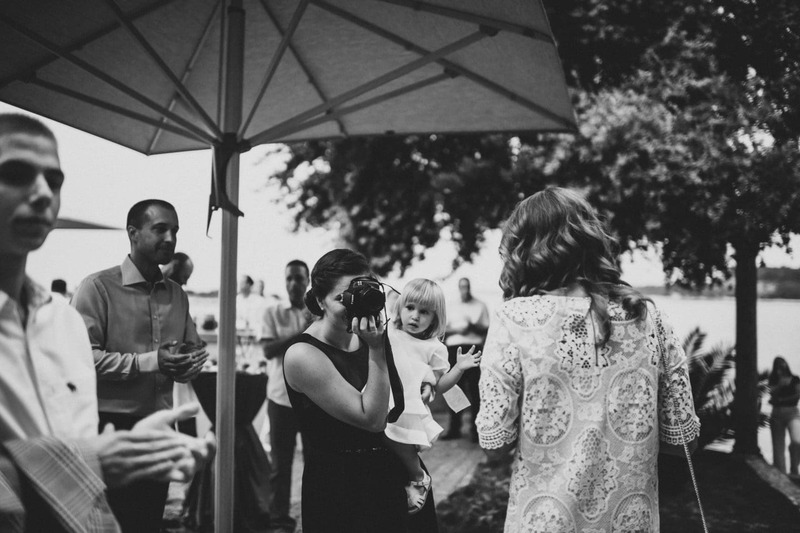 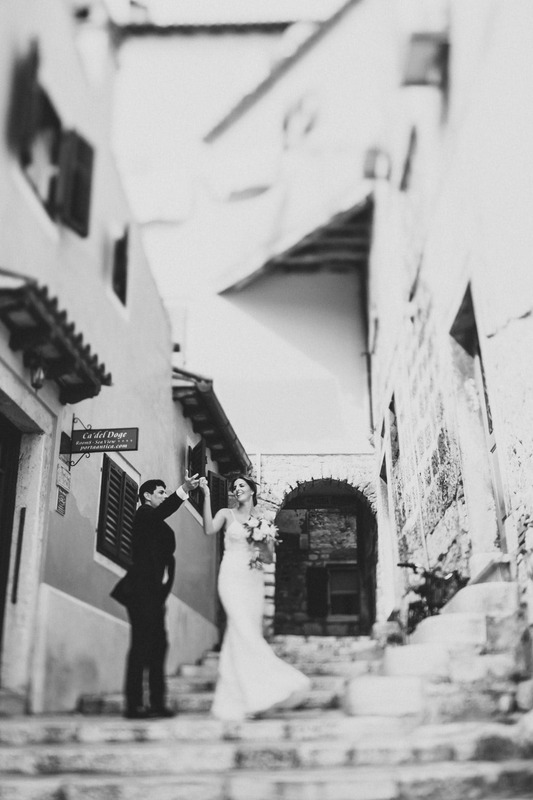 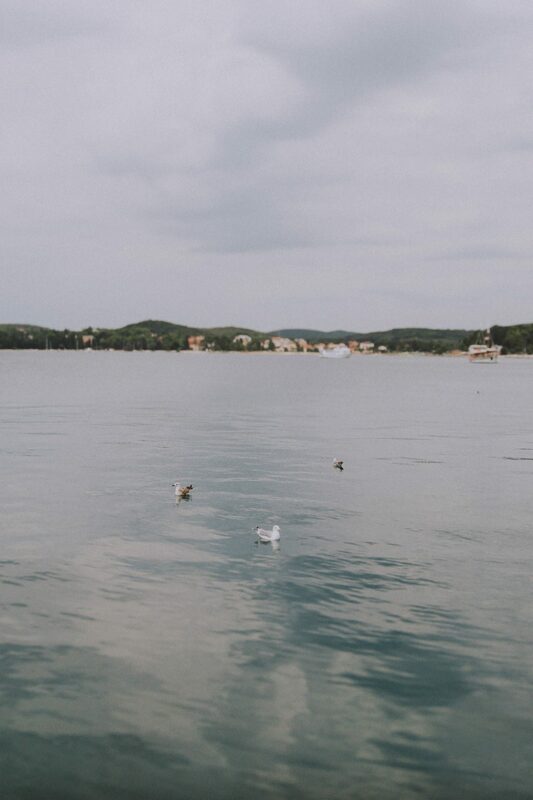 With many hopes in mind, we met Federica and Ivan in Rovinj right before the wedding. 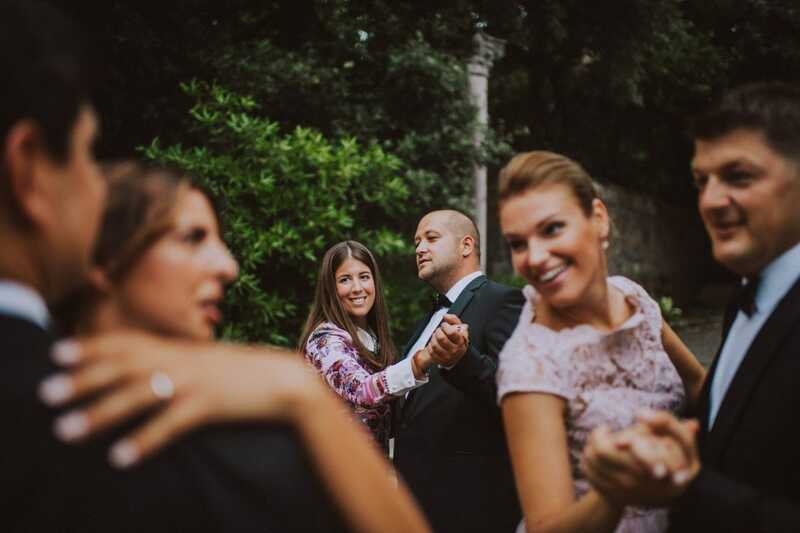 Federica was a charming and gentle girl, the kind of muse every photographer would like to portray. 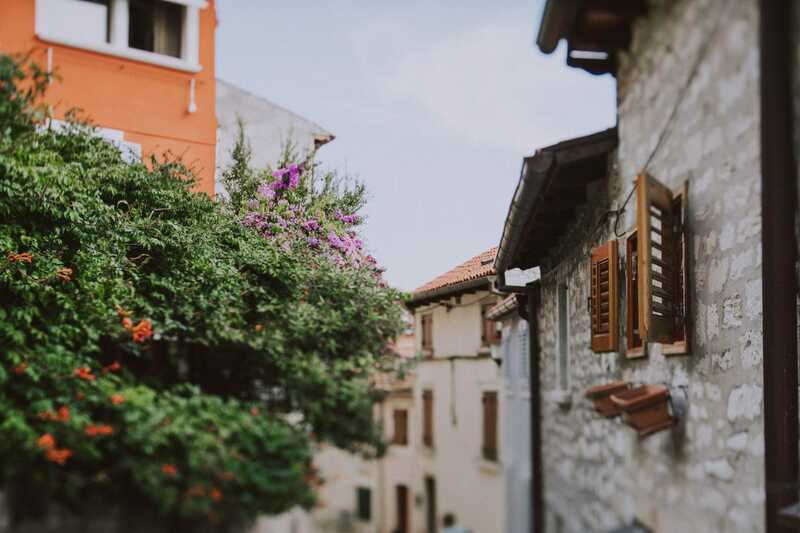 We spent an hour wandering through the streets of the old city, still attracting the attention of the tourists around us. 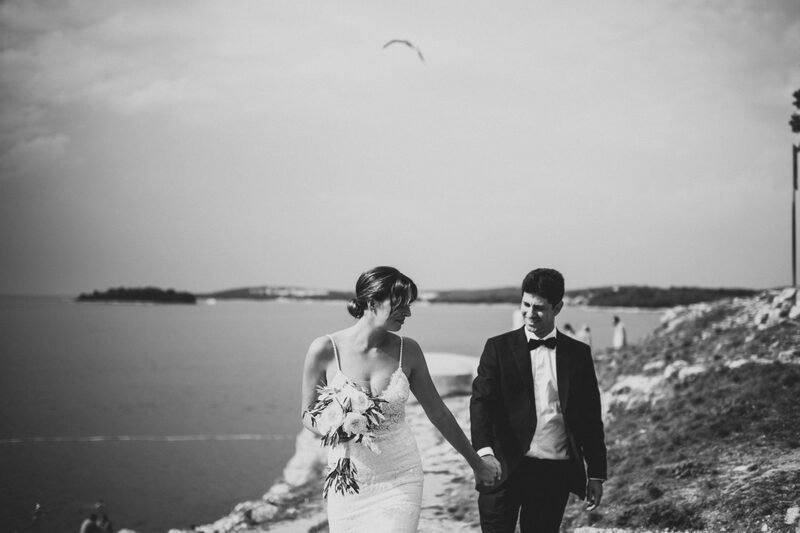 It was lovely to see these two guys in love walking along the shore and posing in front of the marina. 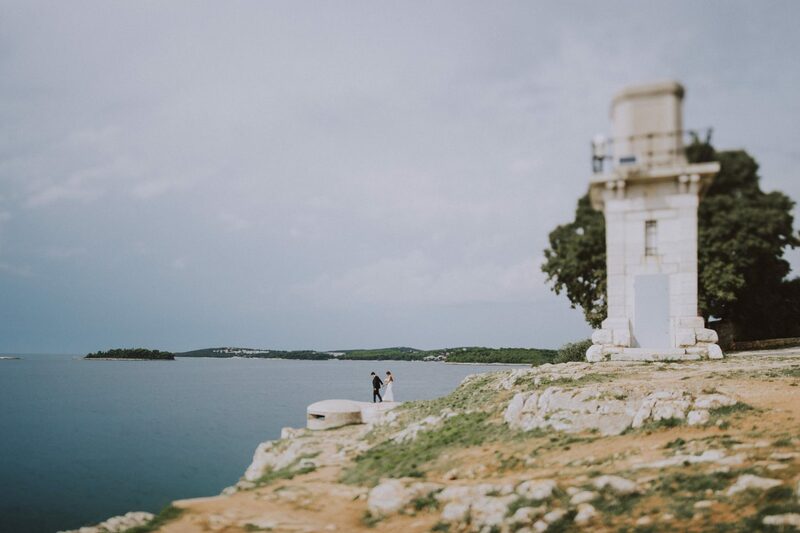 Just enough time to take some photos with Santa Eufemia’s church on the top of the town in the background, and it was already time to take the boat heading to the mausoleum, the ceremony venue. 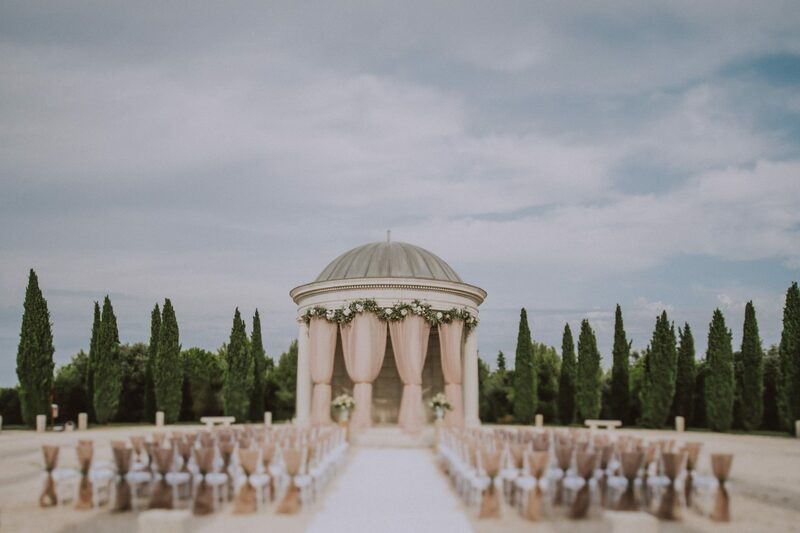 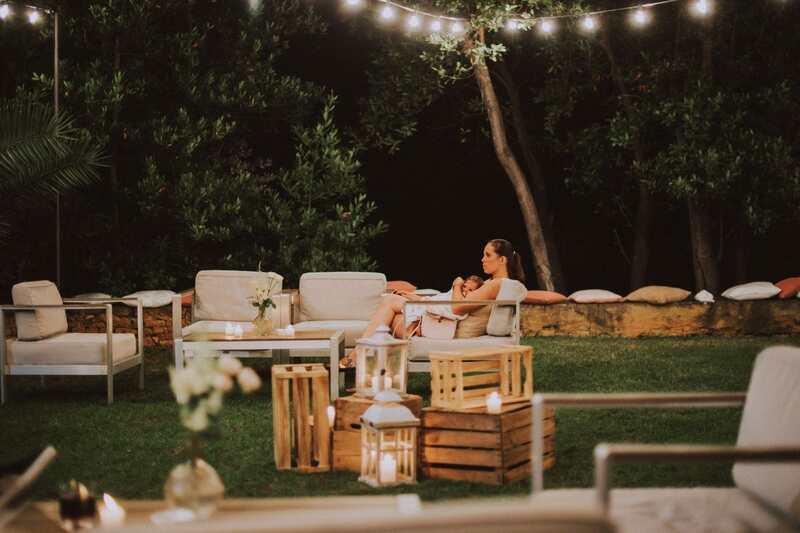 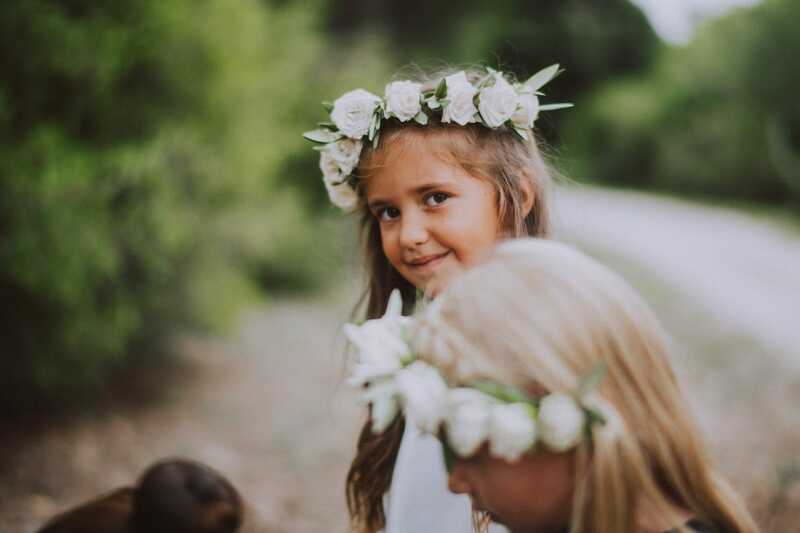 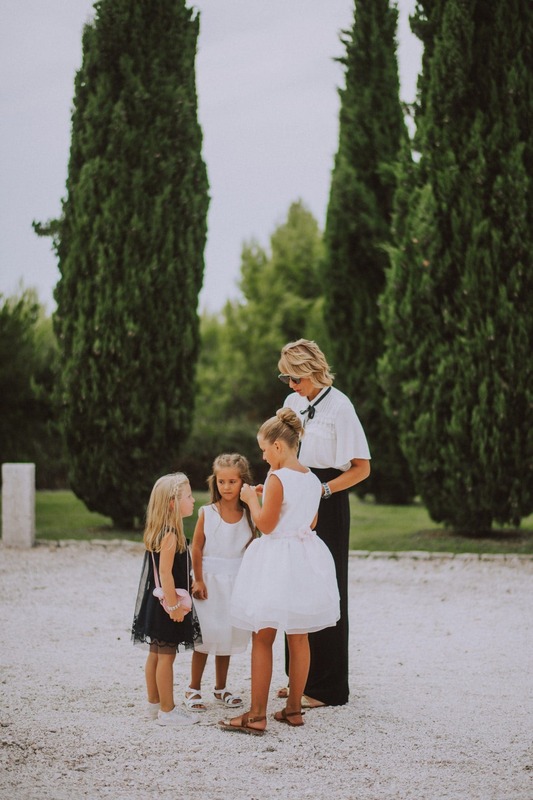 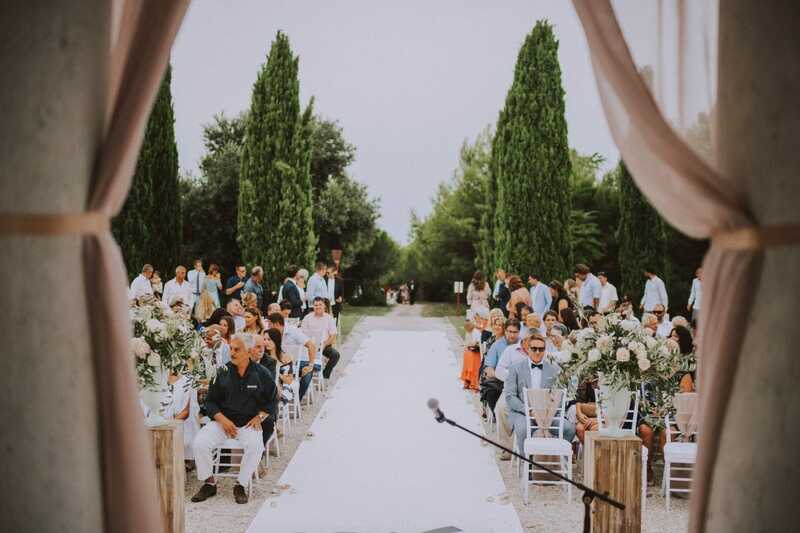 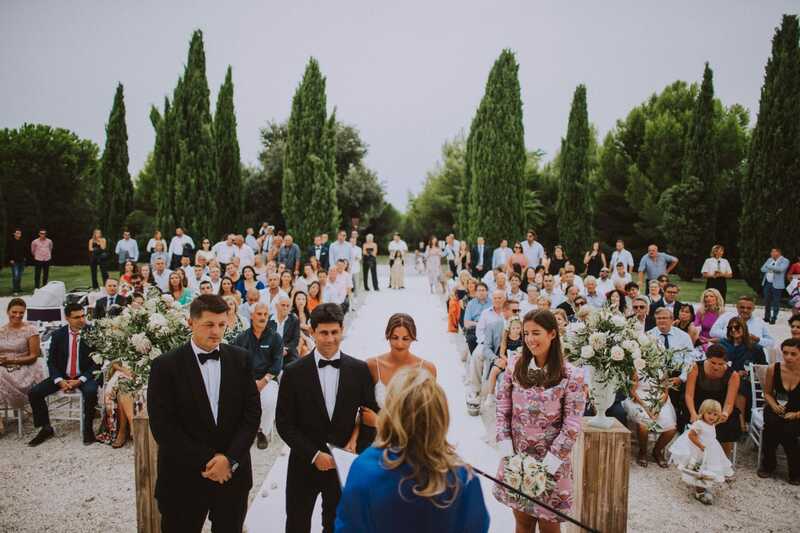 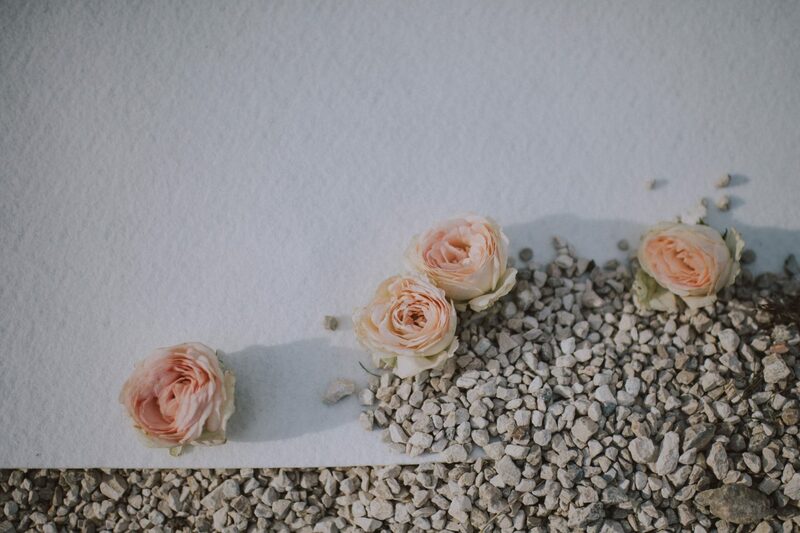 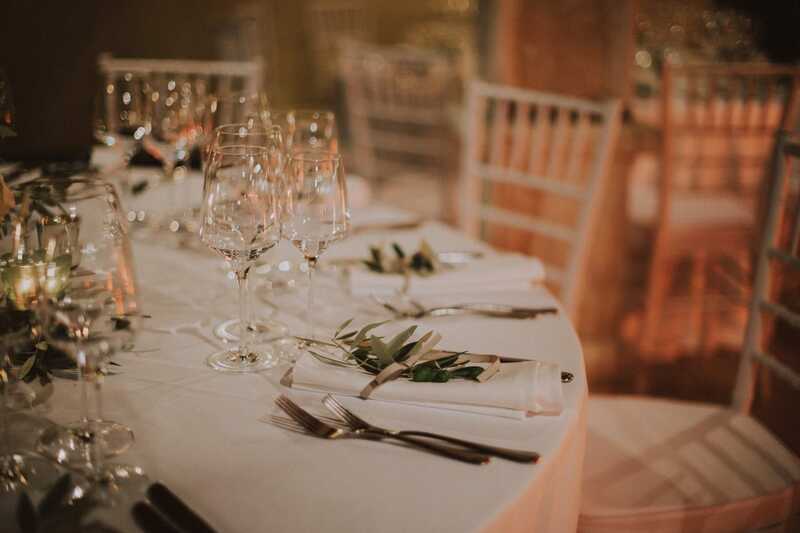 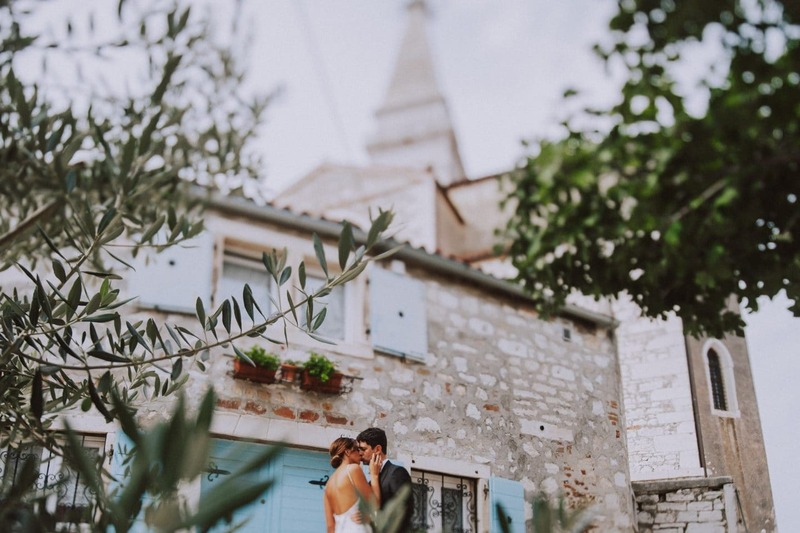 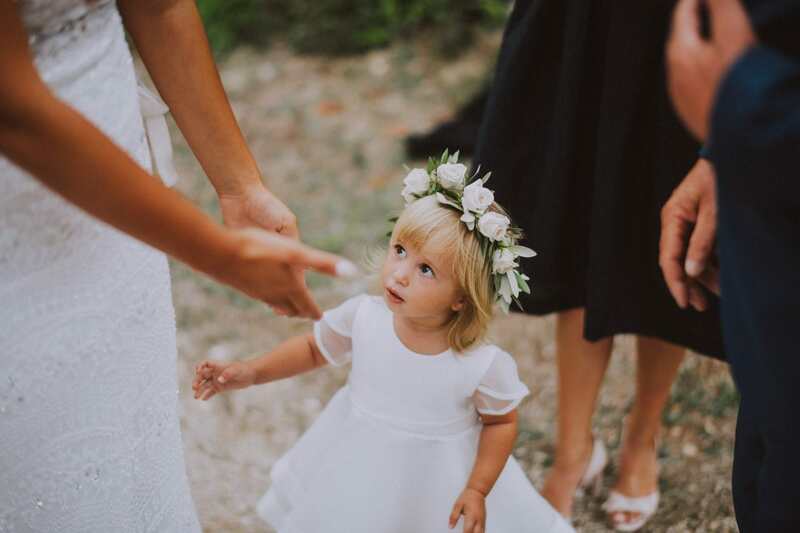 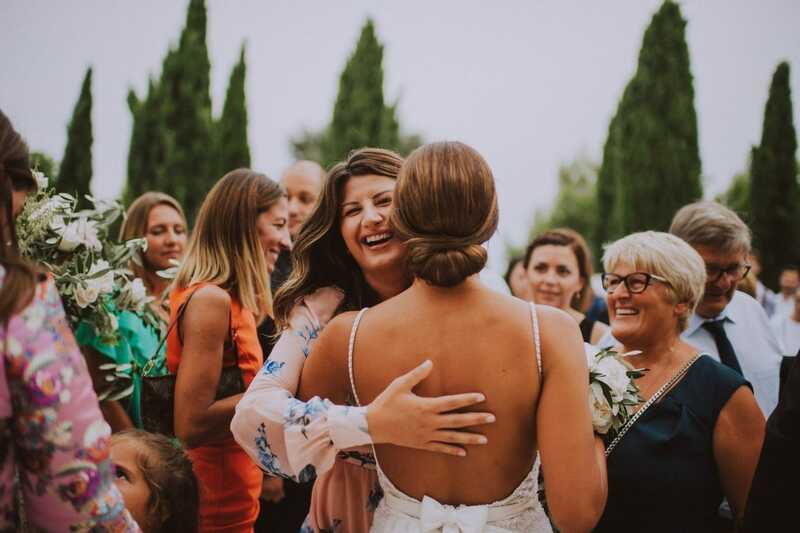 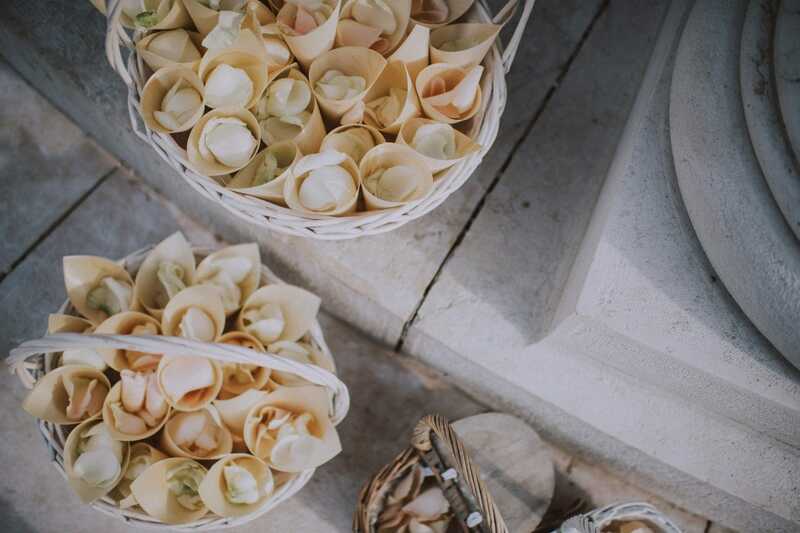 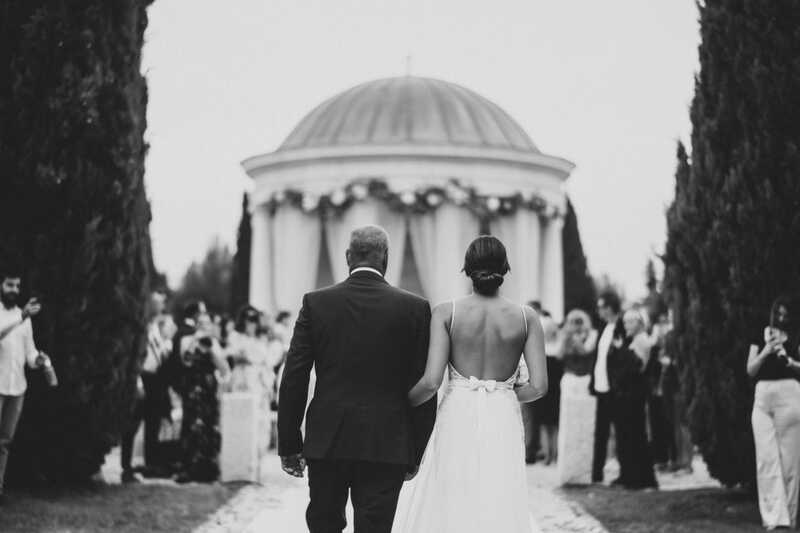 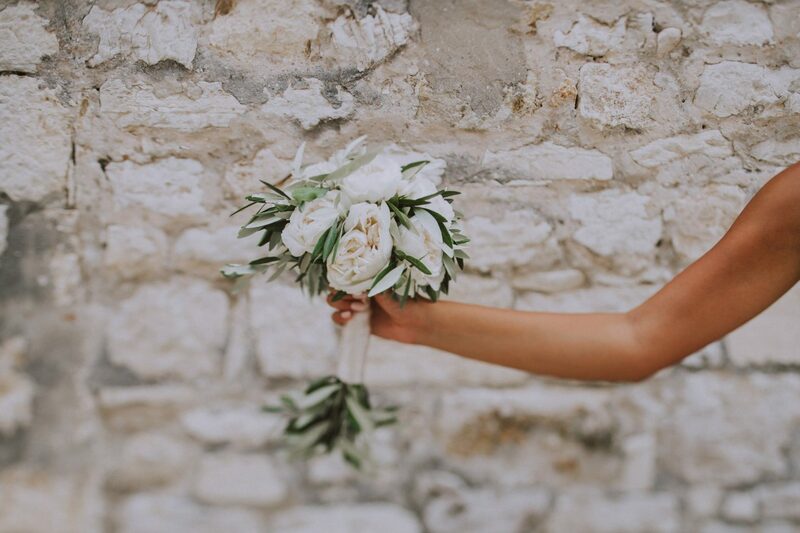 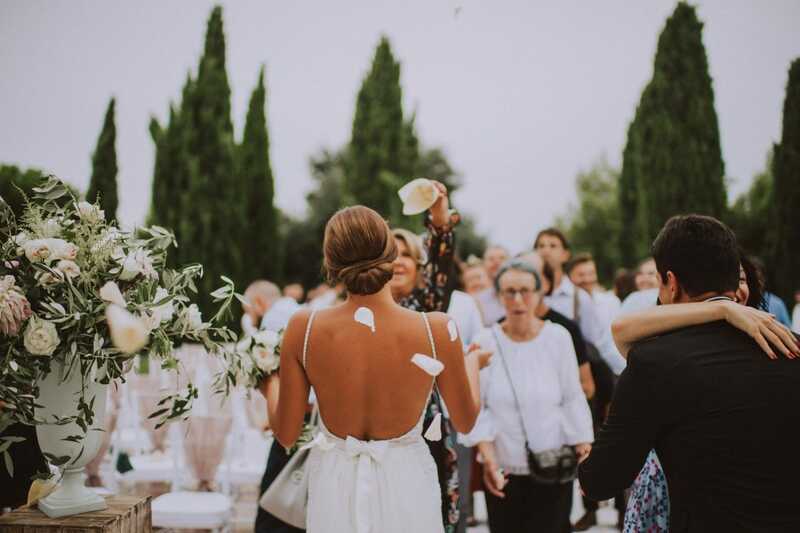 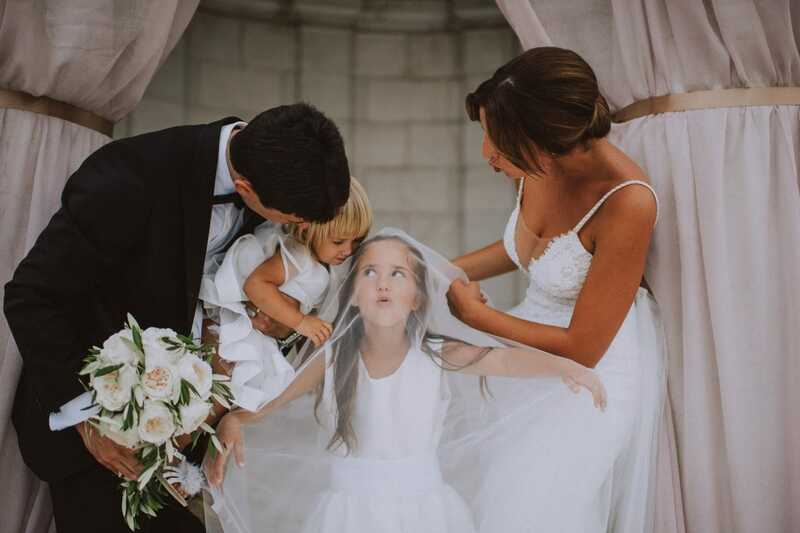 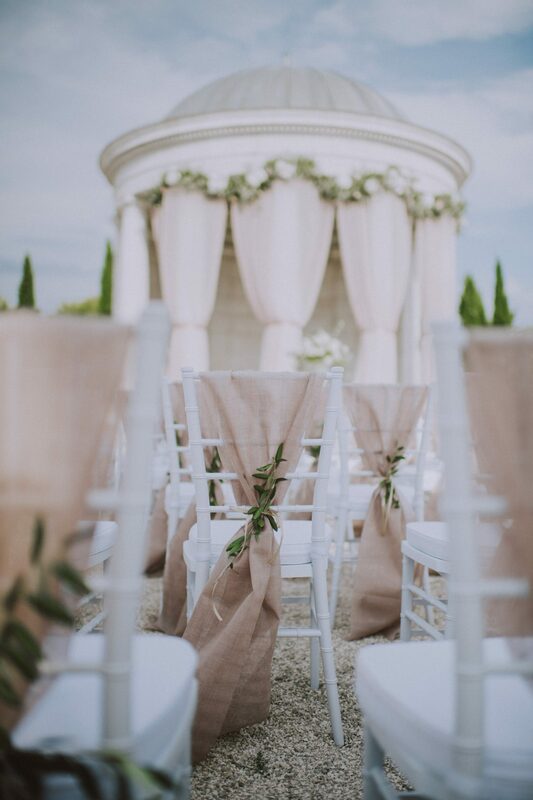 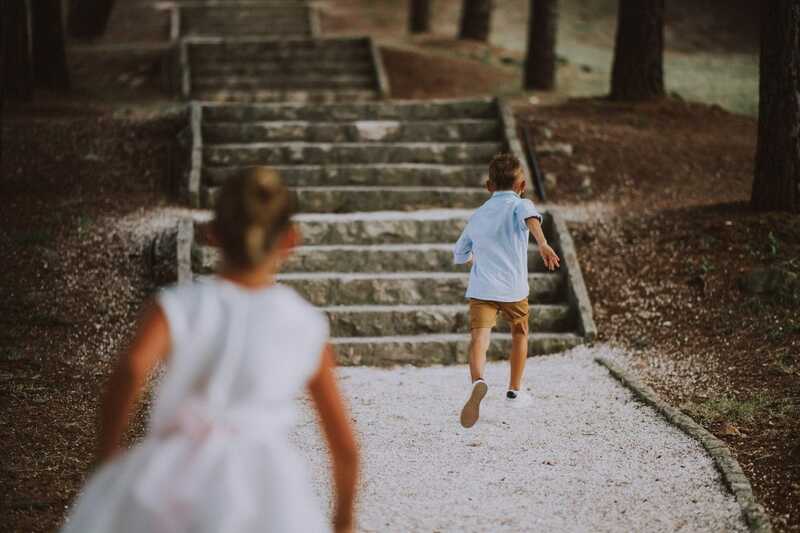 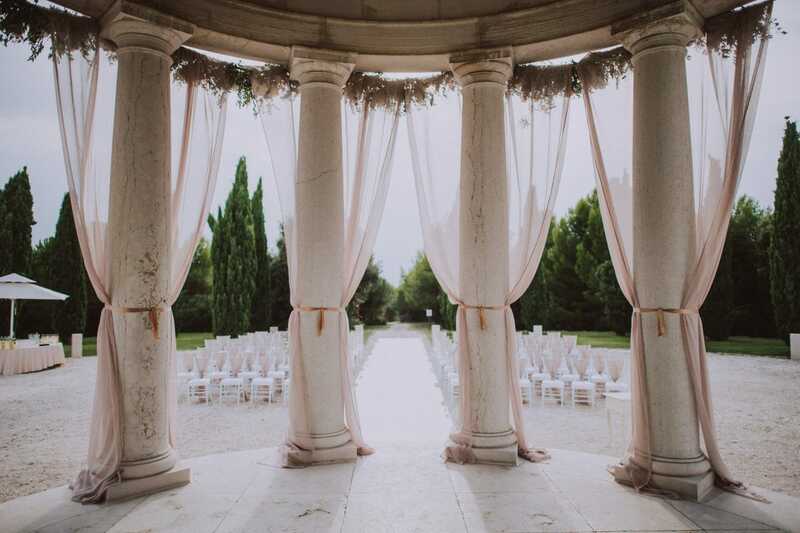 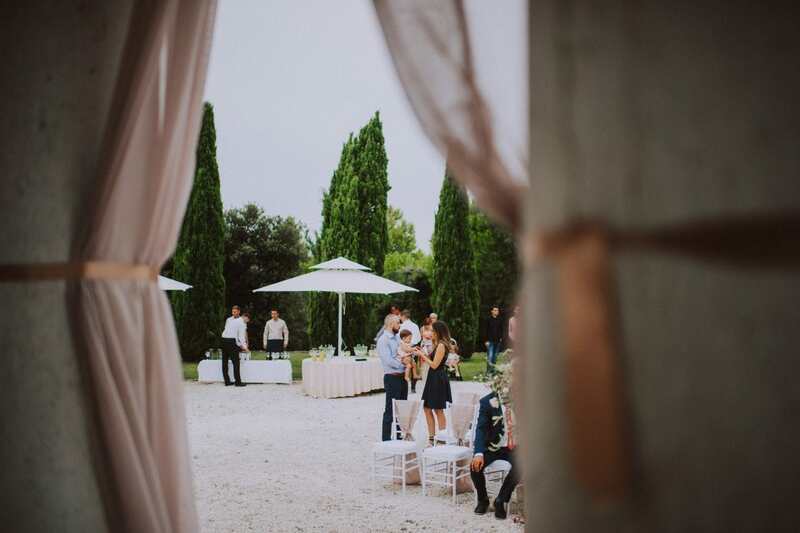 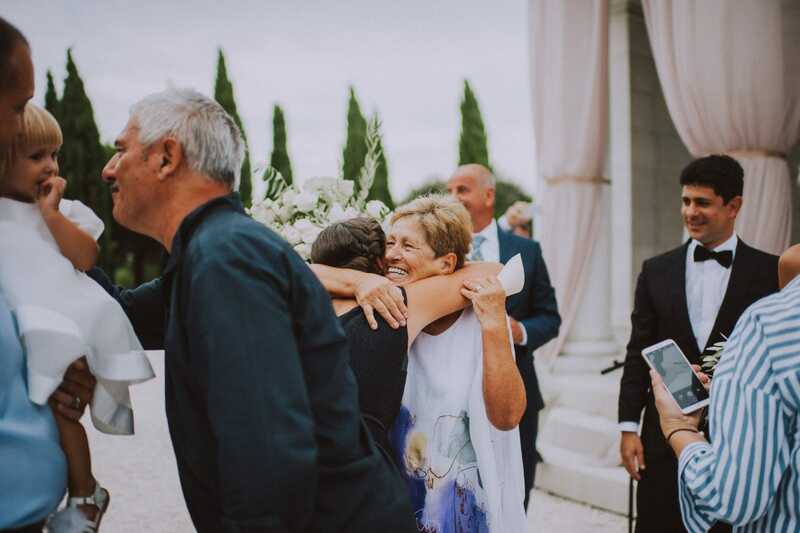 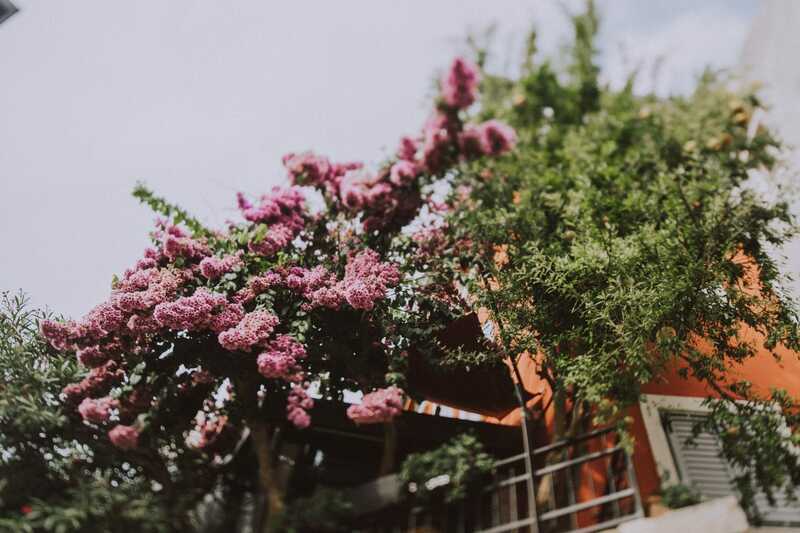 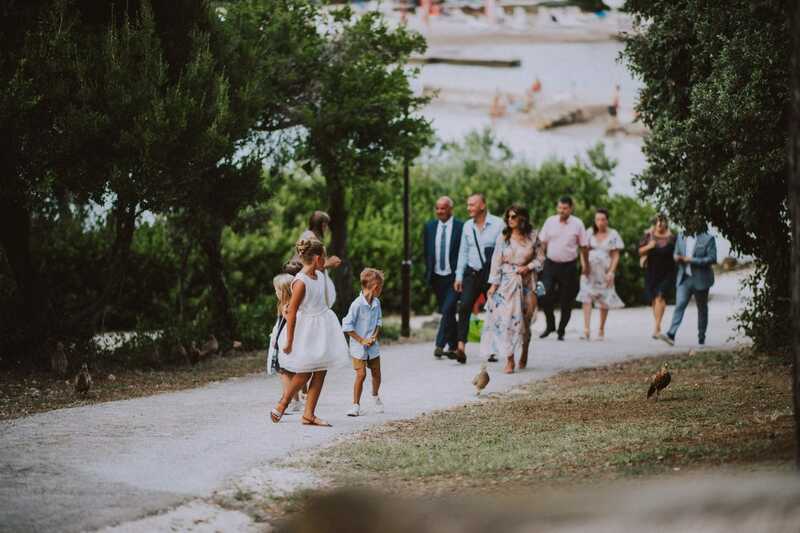 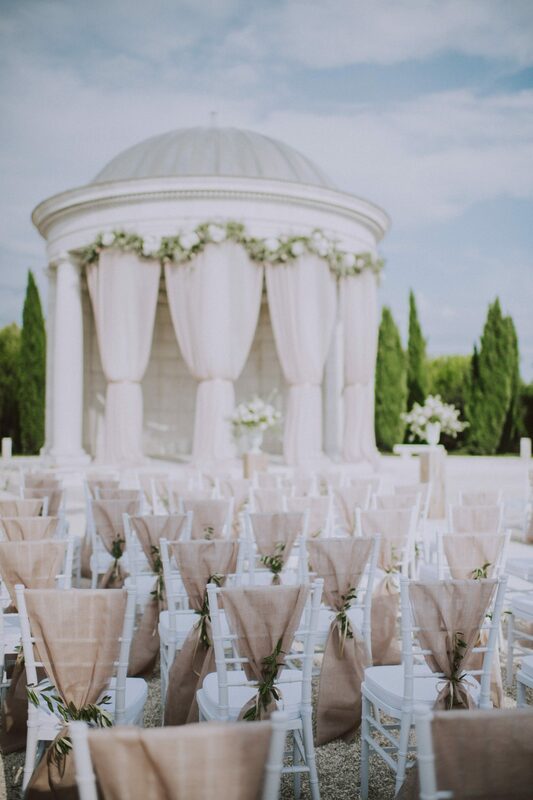 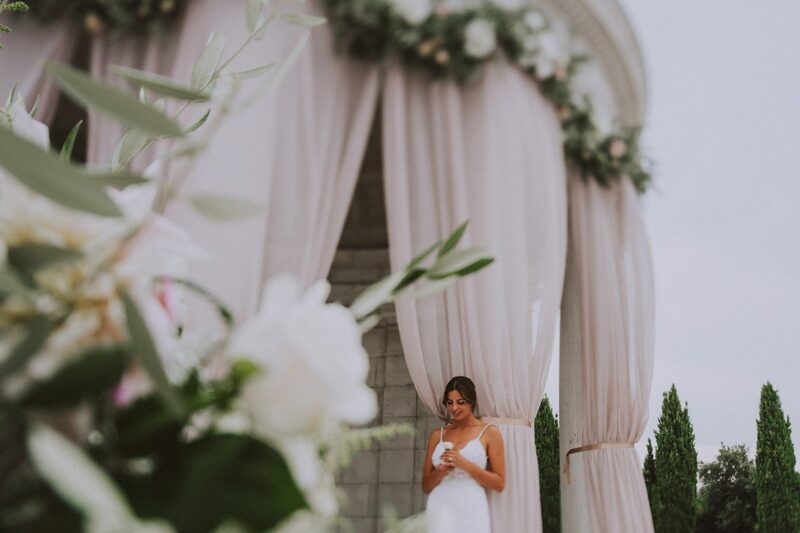 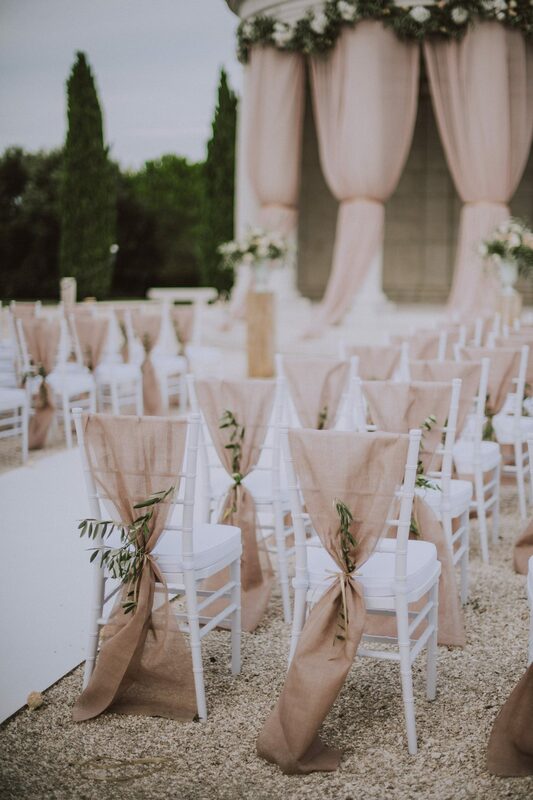 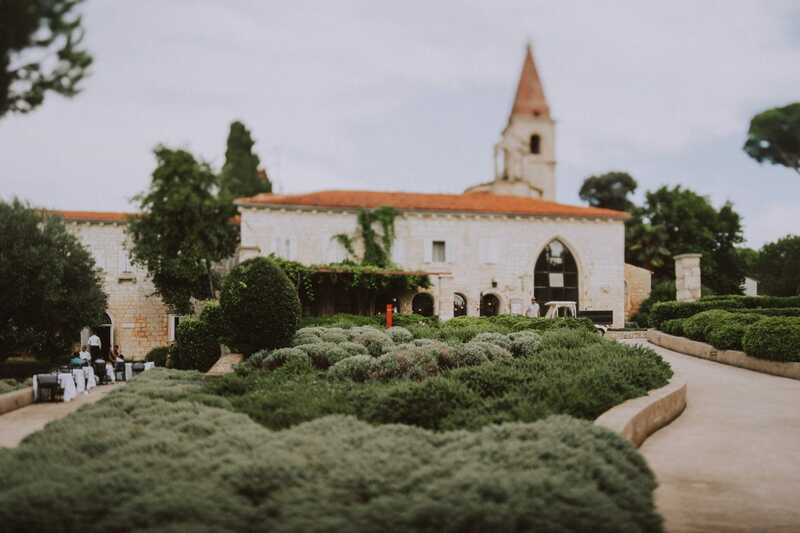 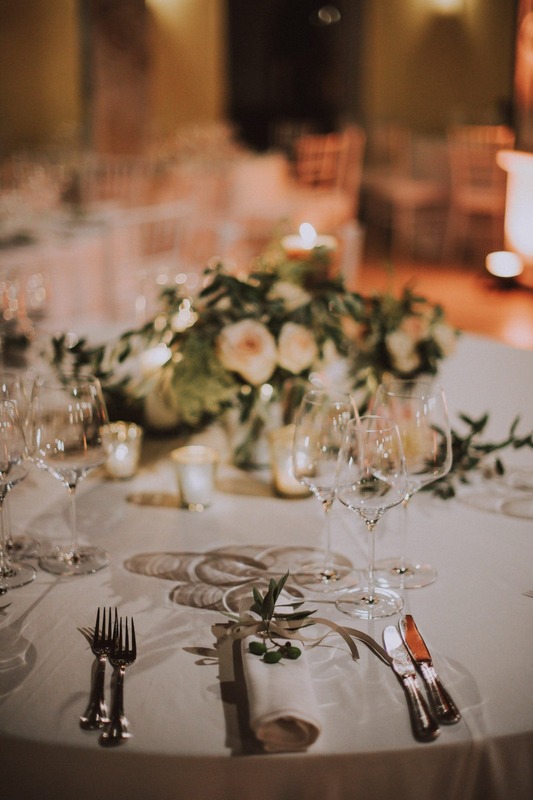 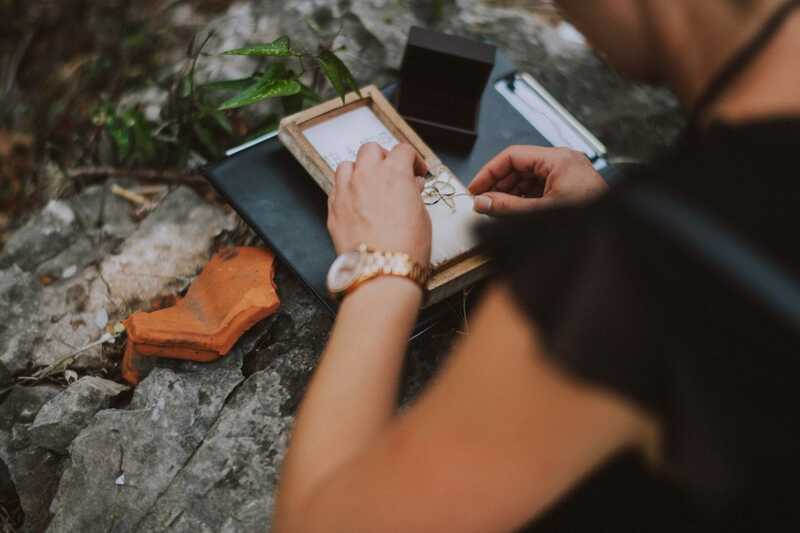 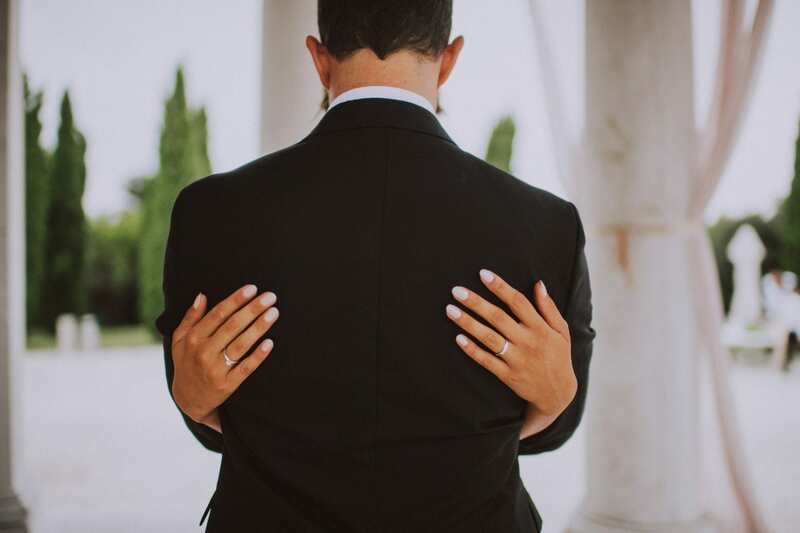 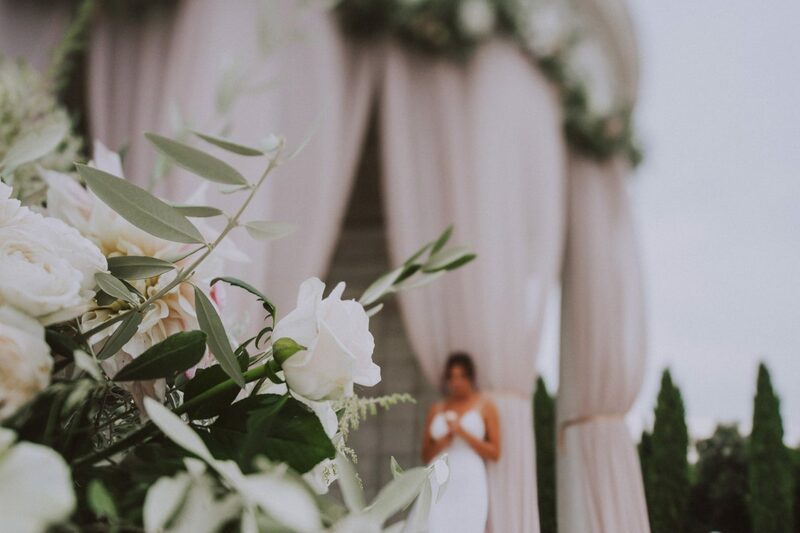 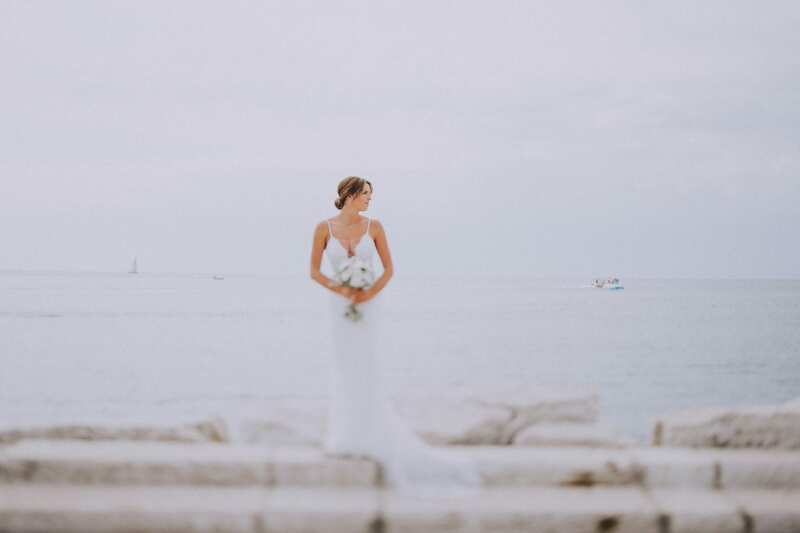 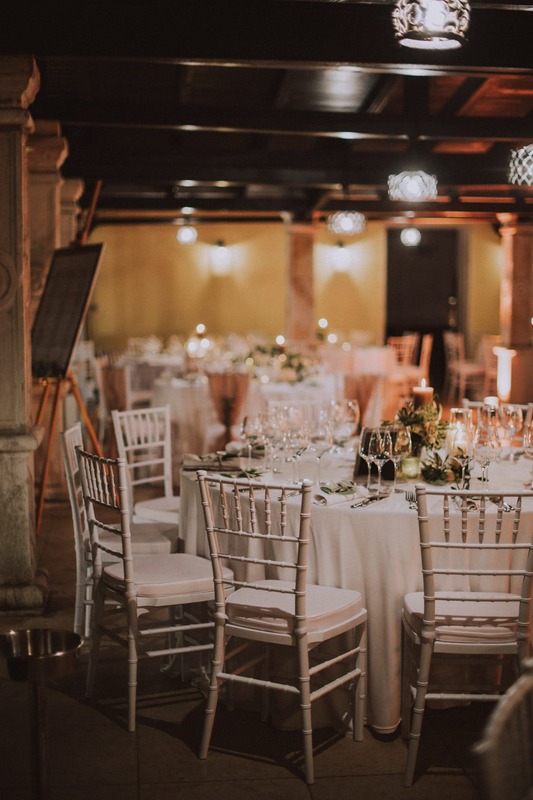 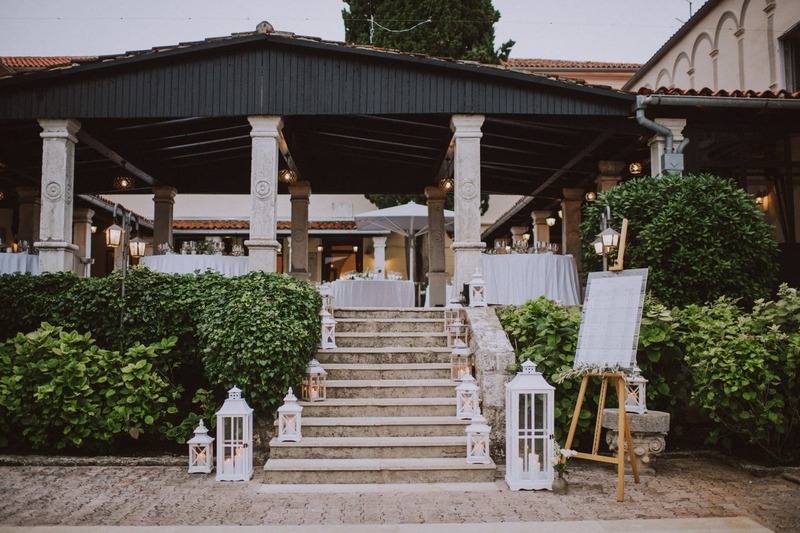 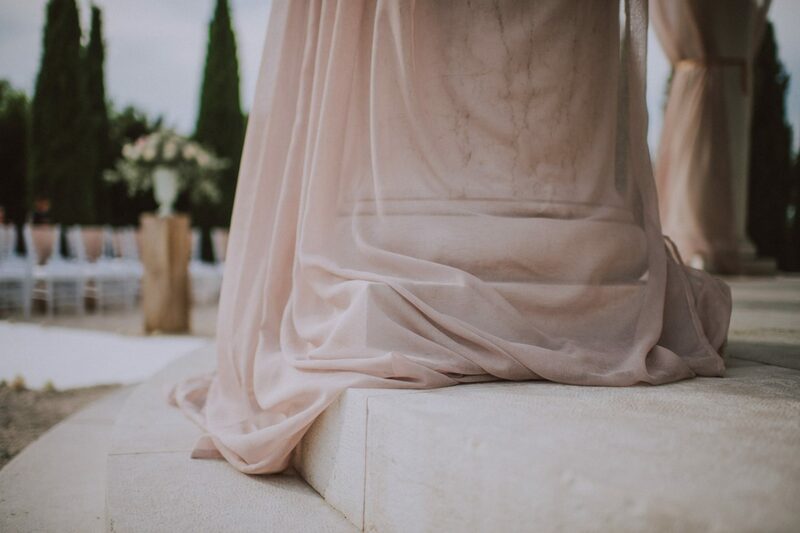 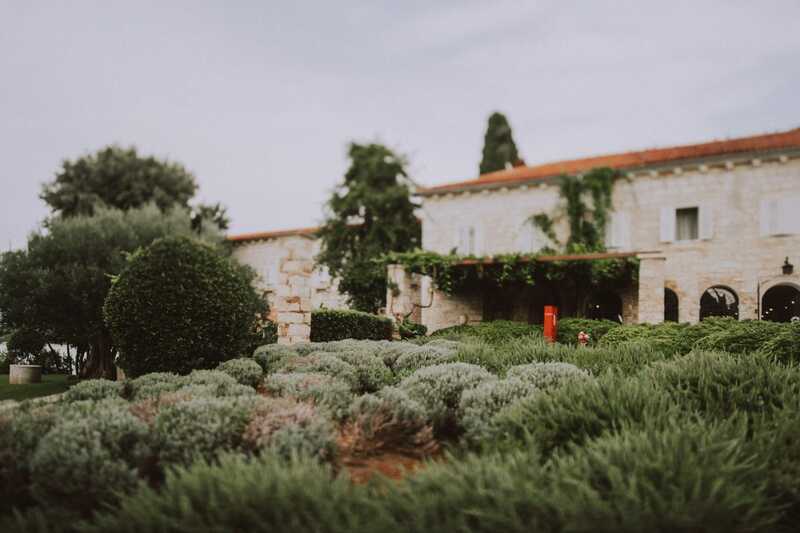 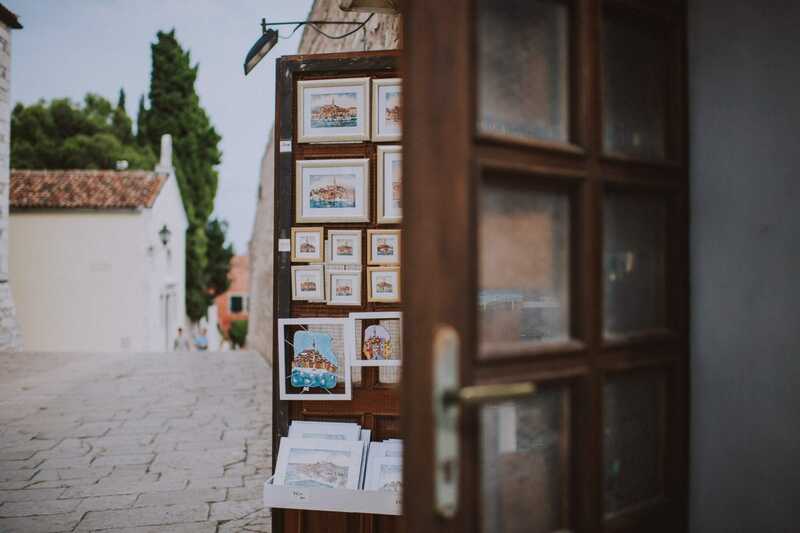 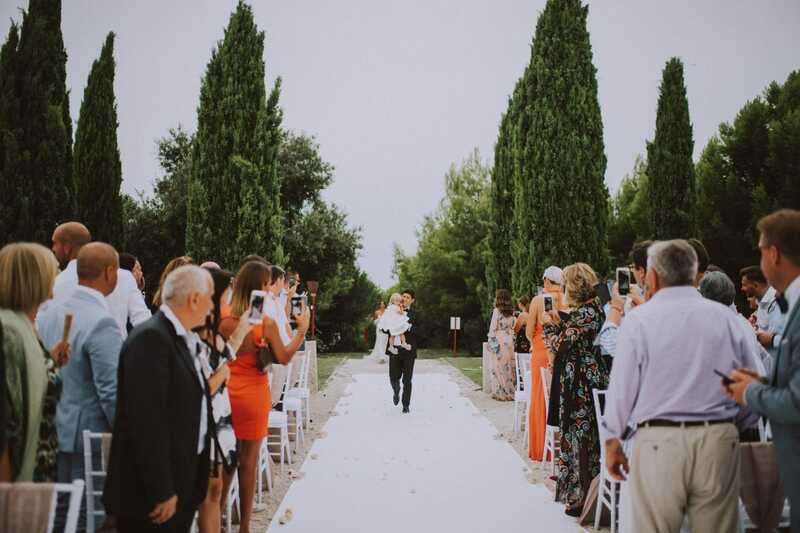 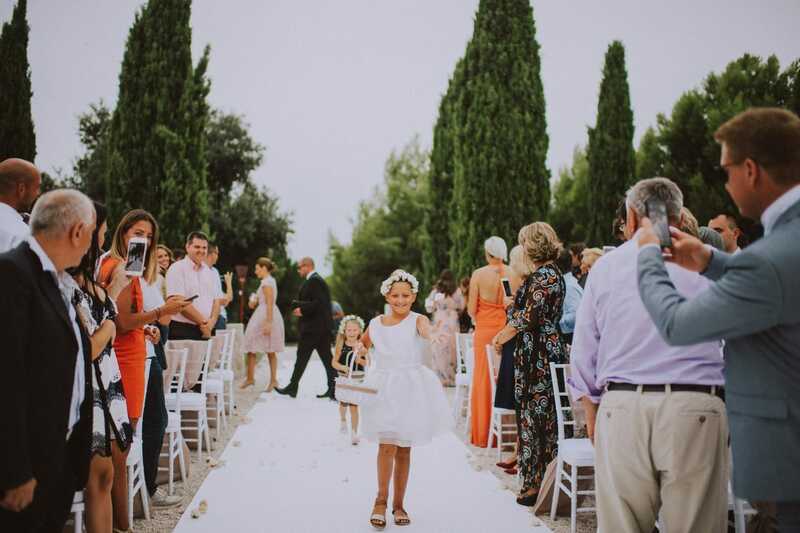 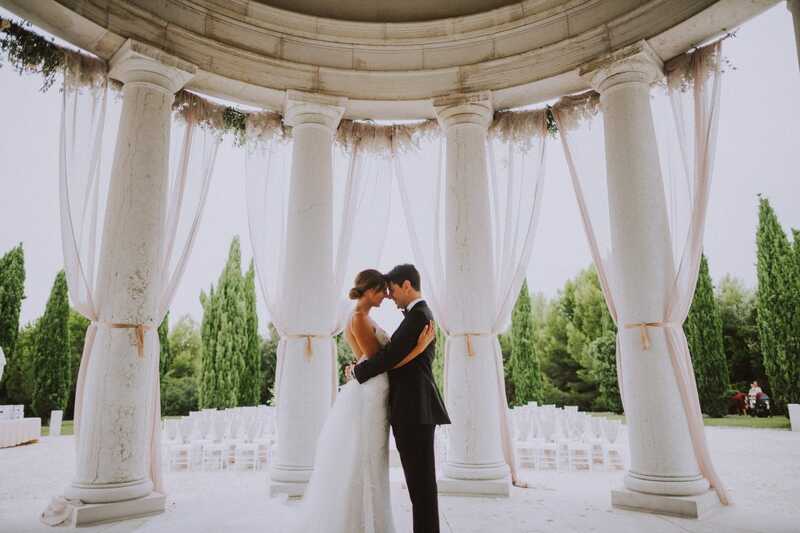 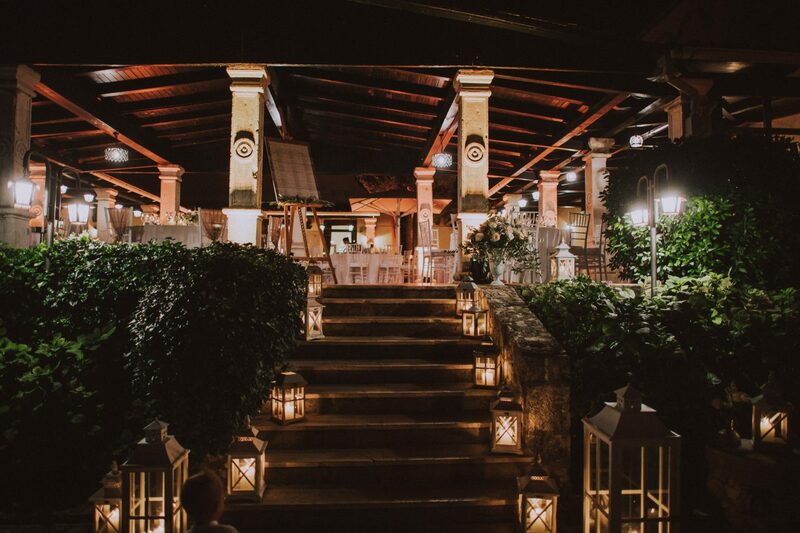 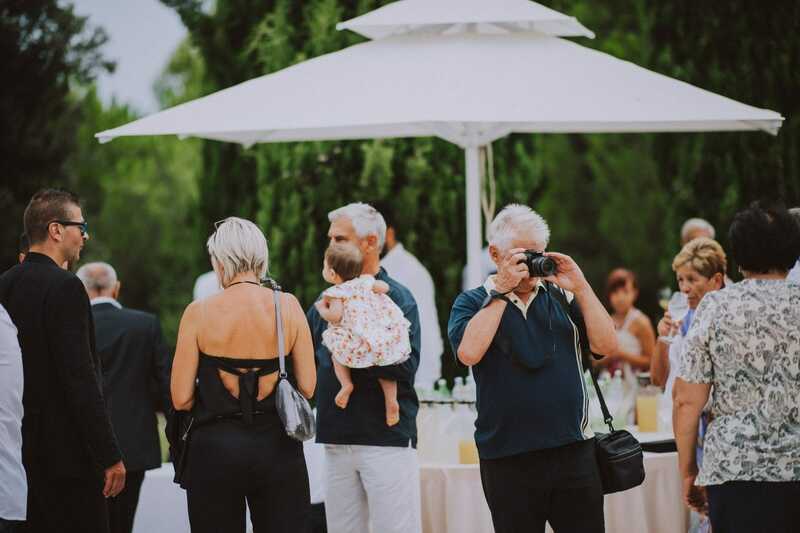 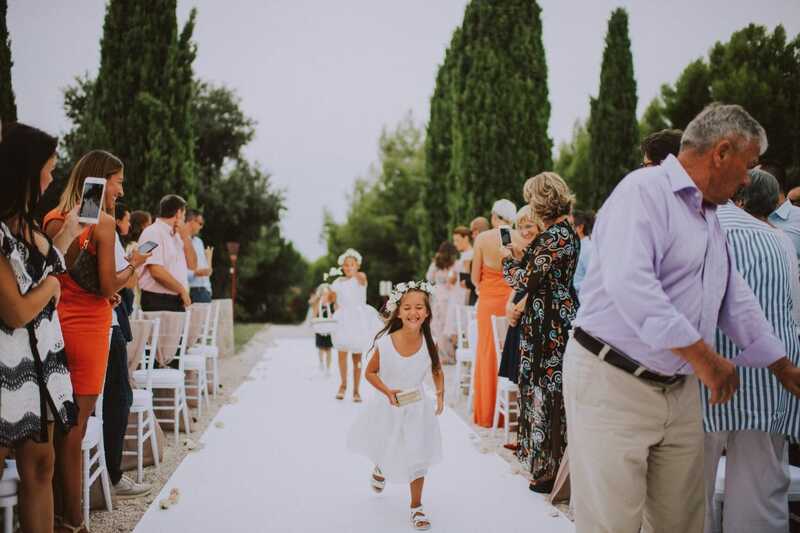 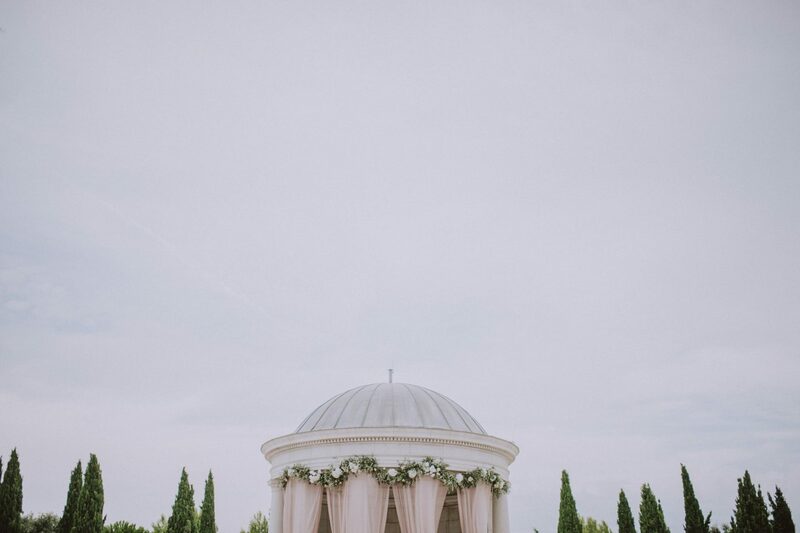 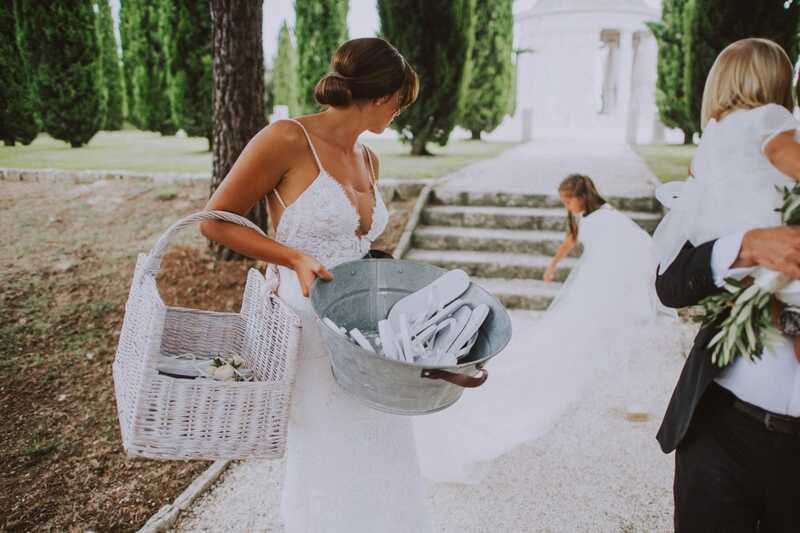 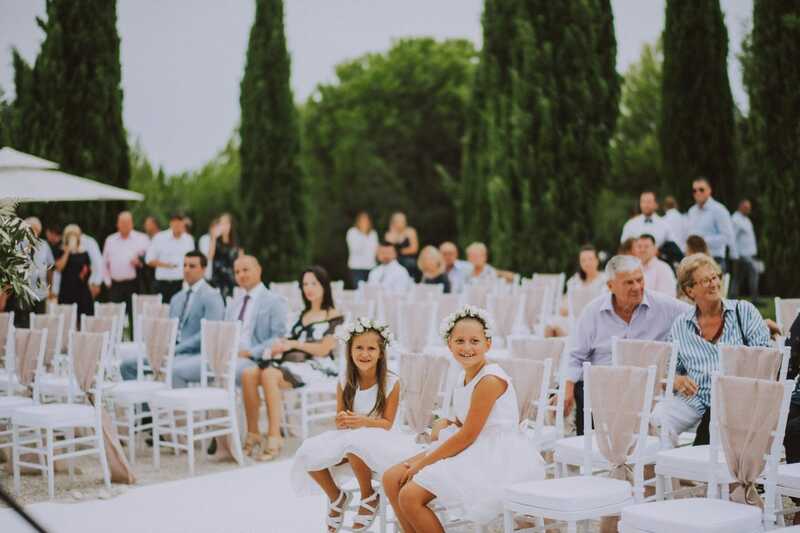 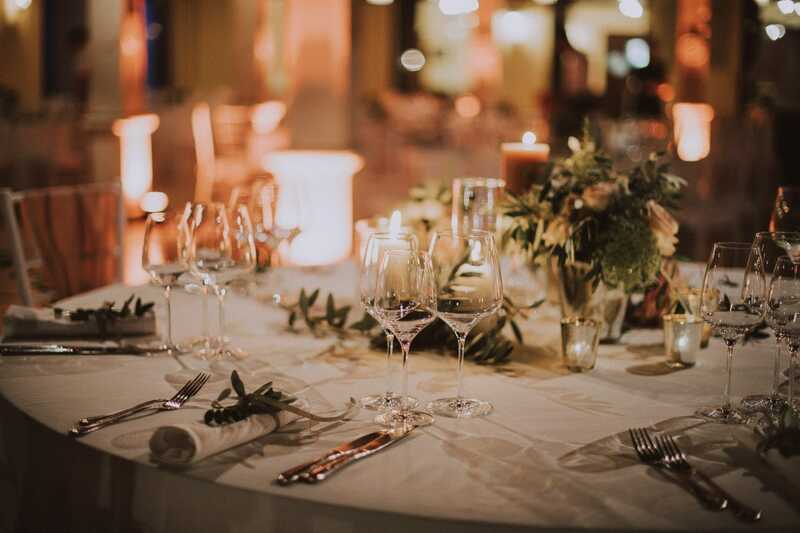 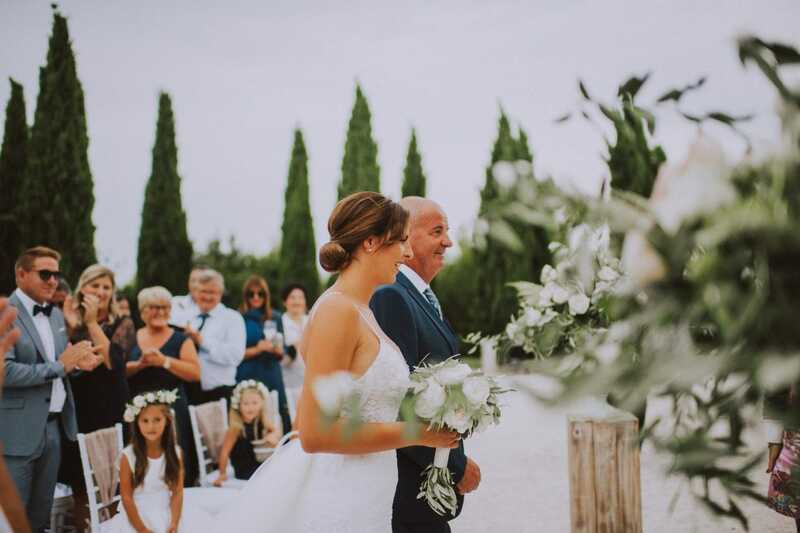 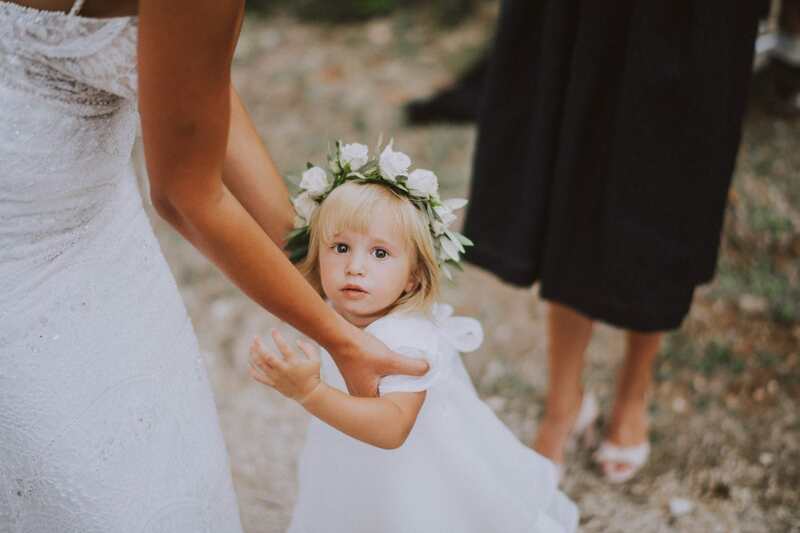 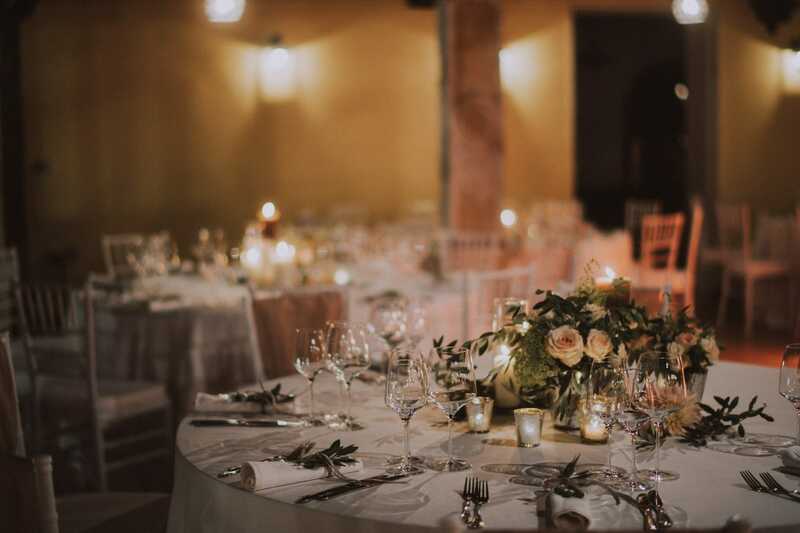 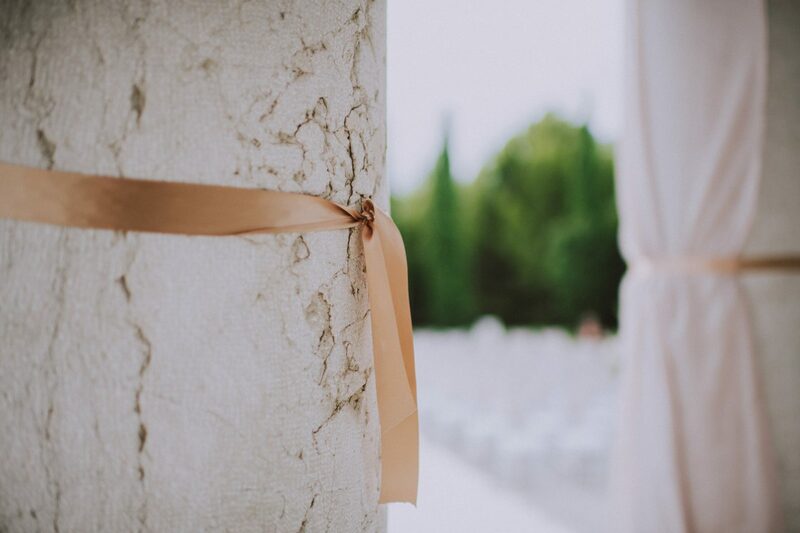 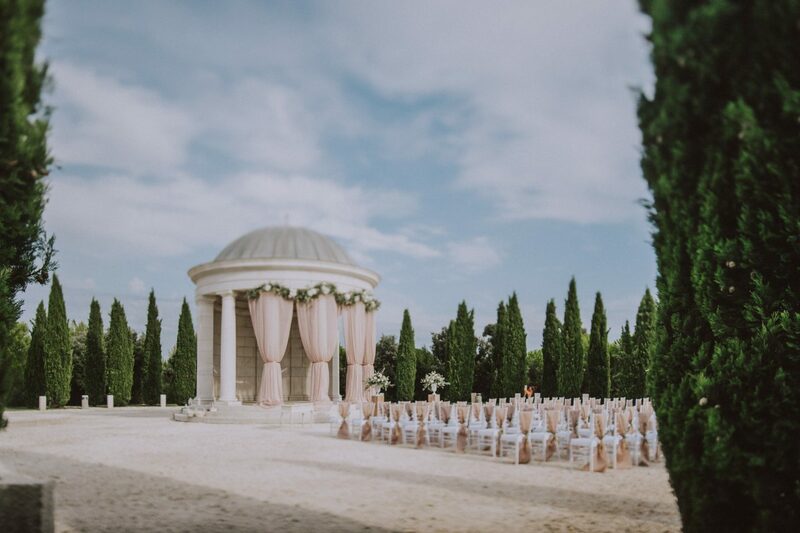 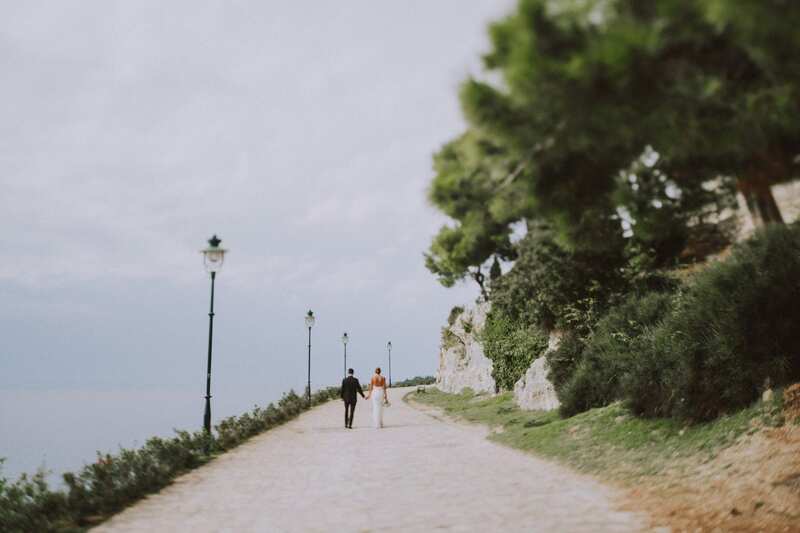 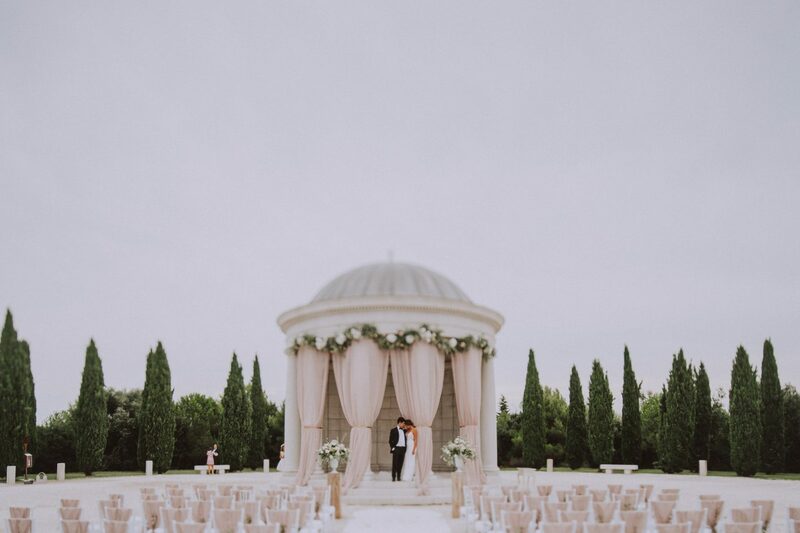 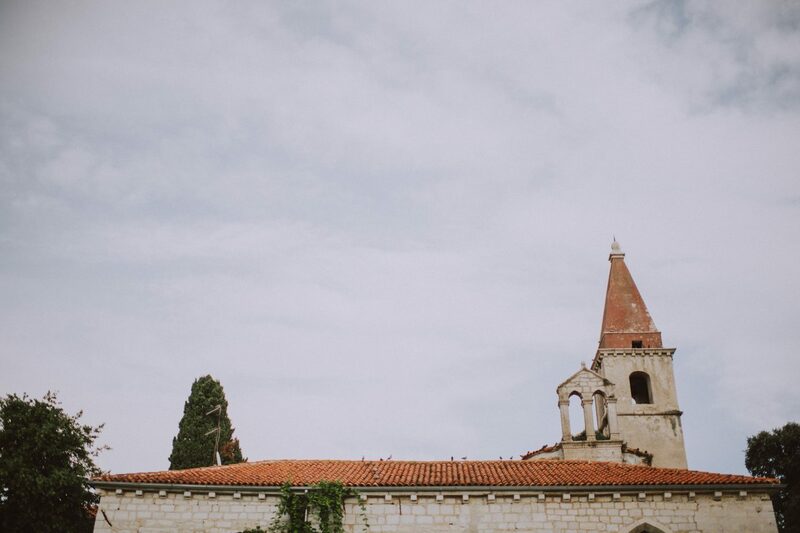 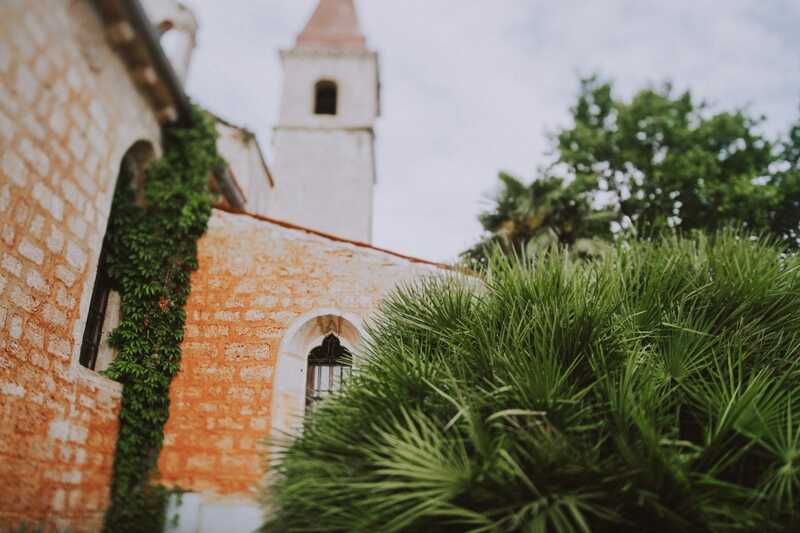 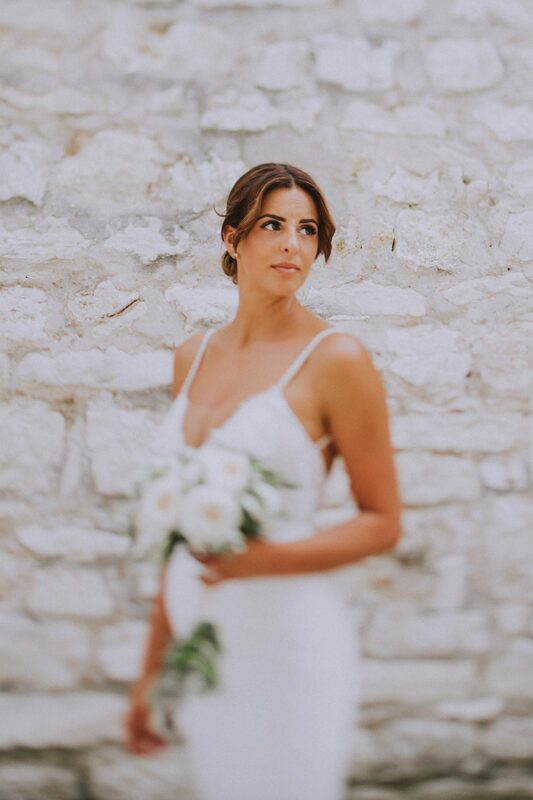 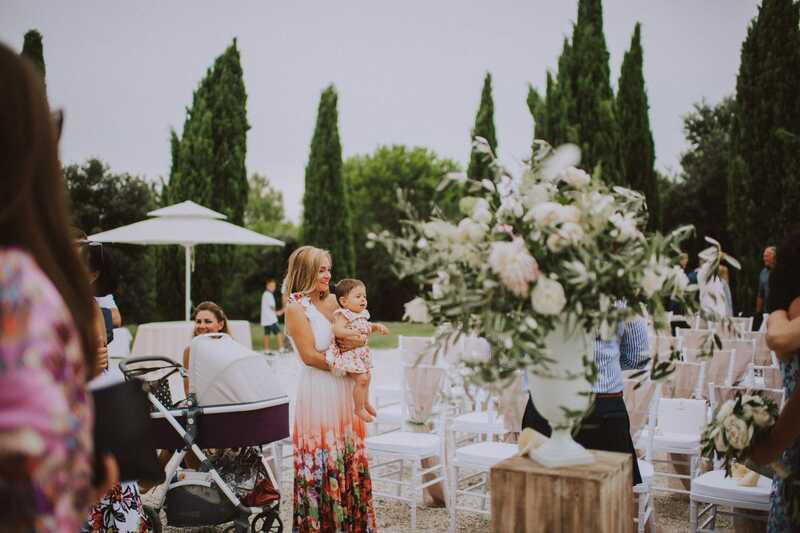 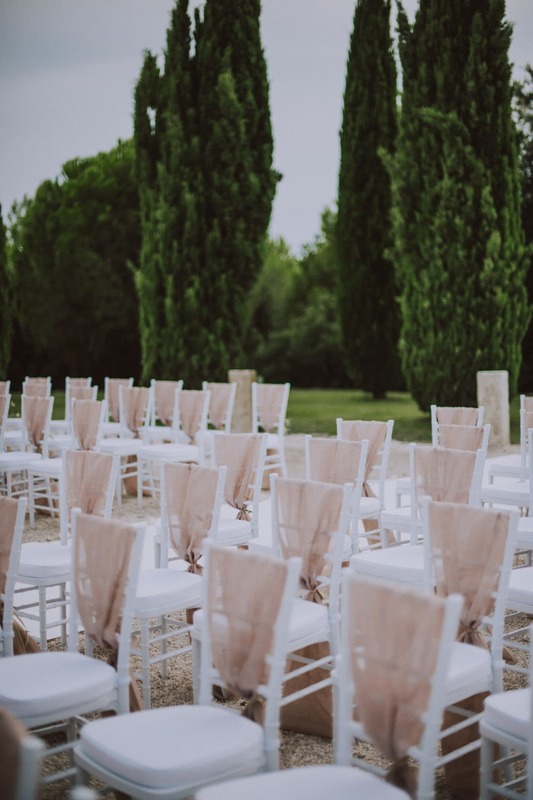 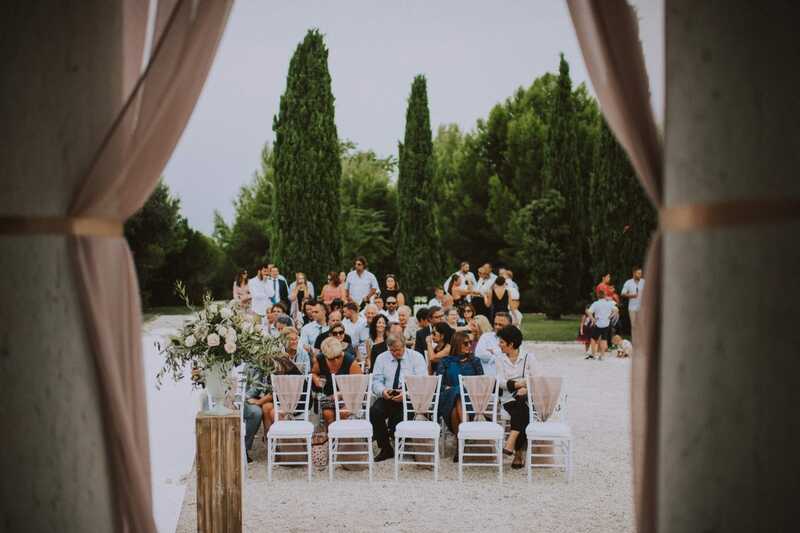 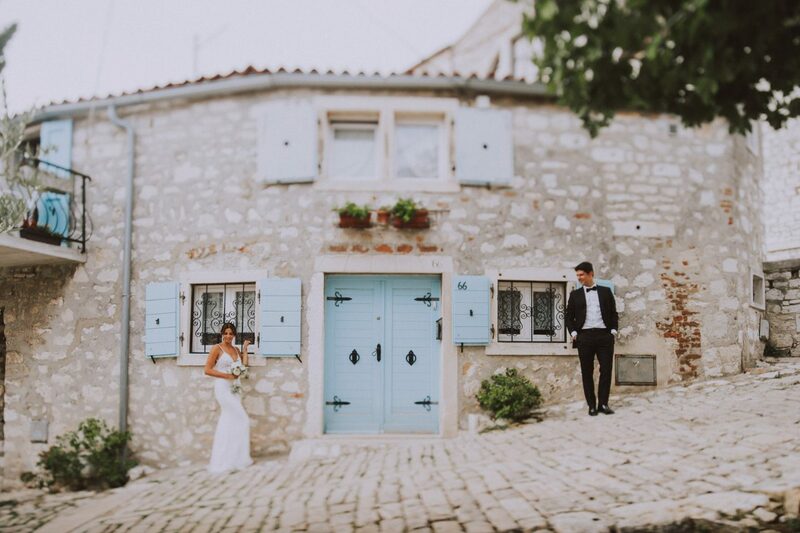 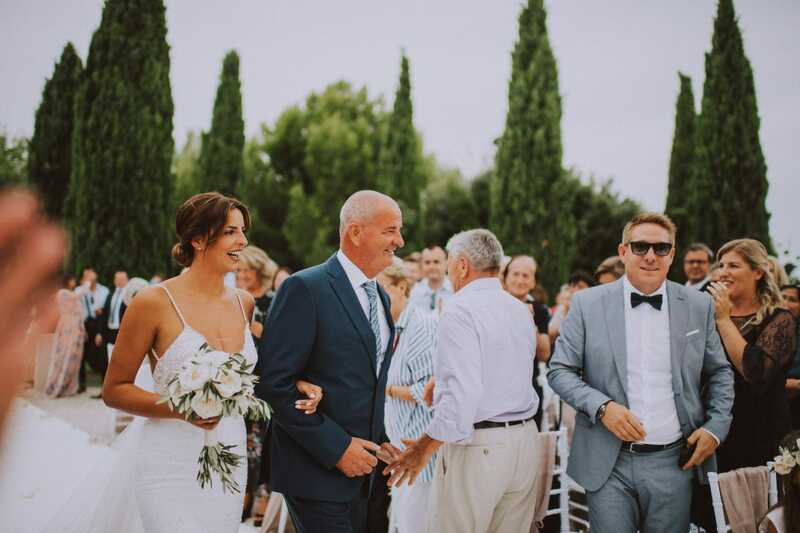 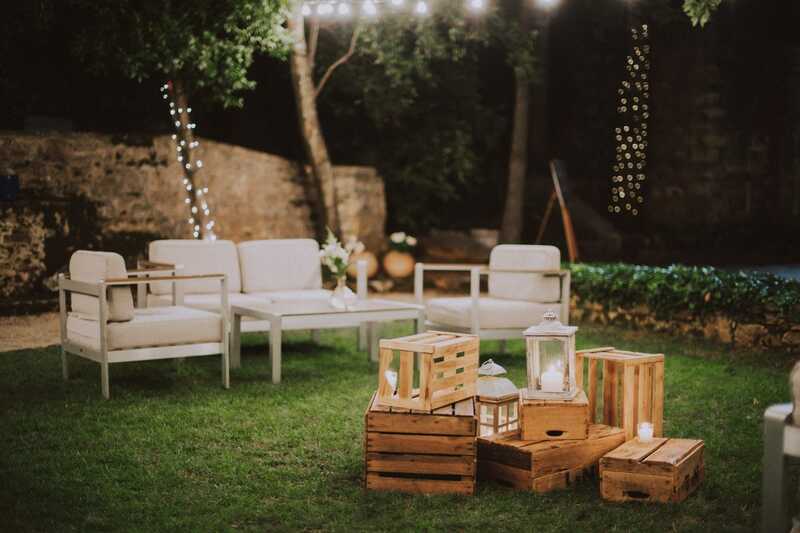 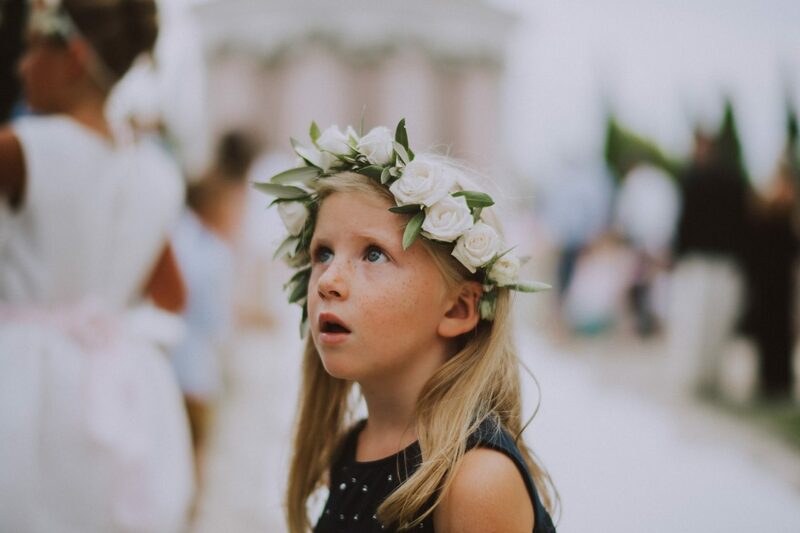 Maskin island, connected to St. Andrew’s island, is one of the most beautiful wedding venues in Istria because of its stunning mausoleum. 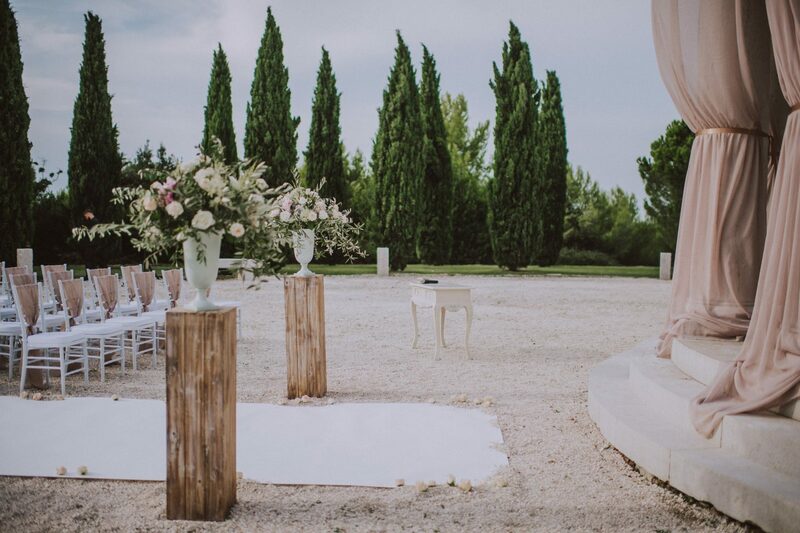 This is where the wedding ceremony took place. 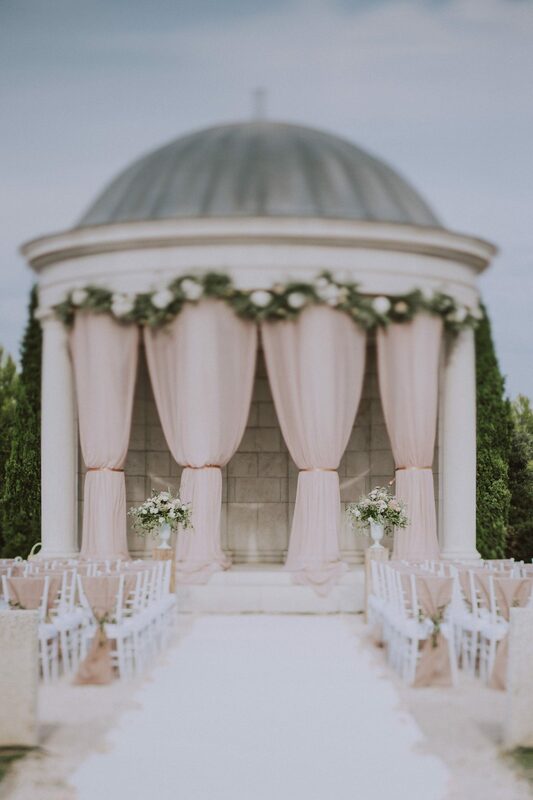 The decoration on the mausoleum, simple yet elegantly impactful made the whole environment even more magnificent! 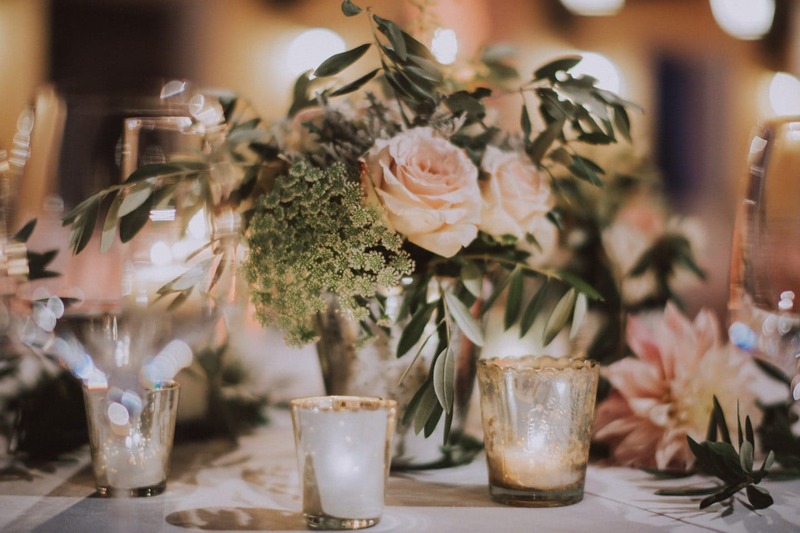 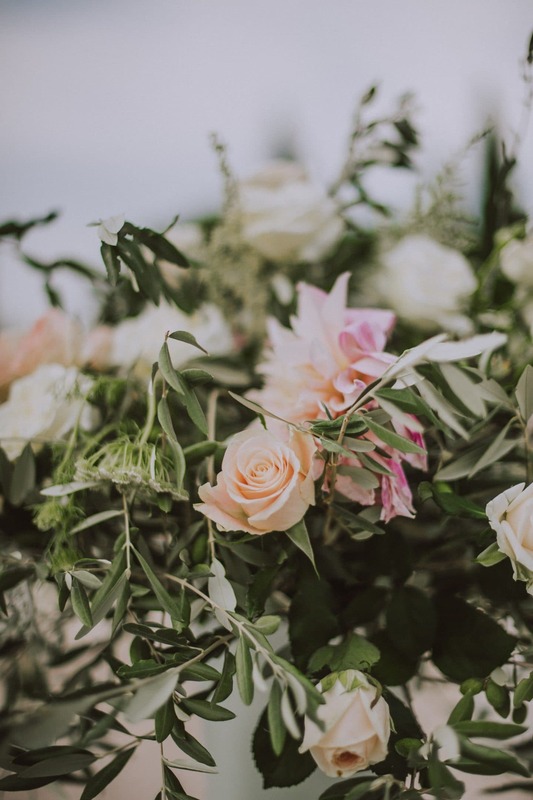 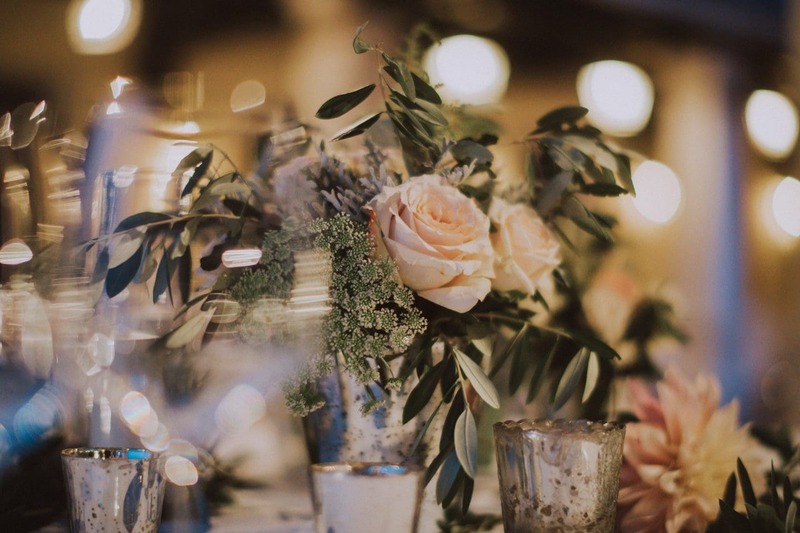 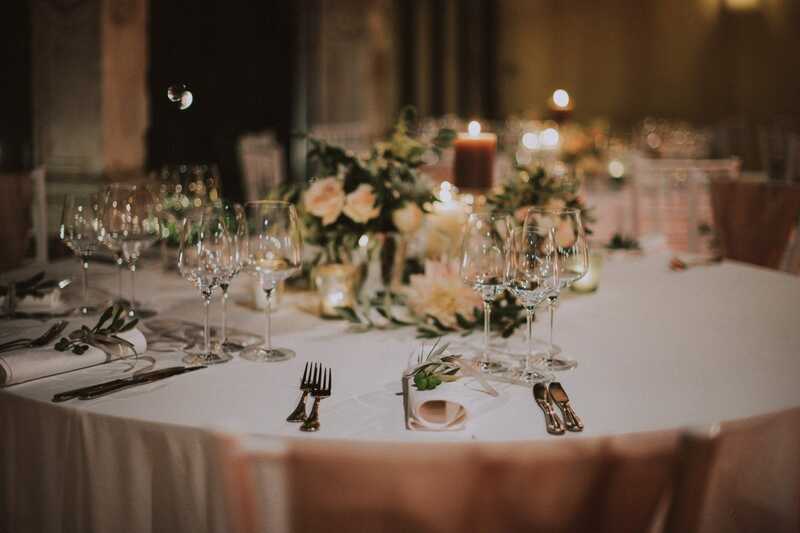 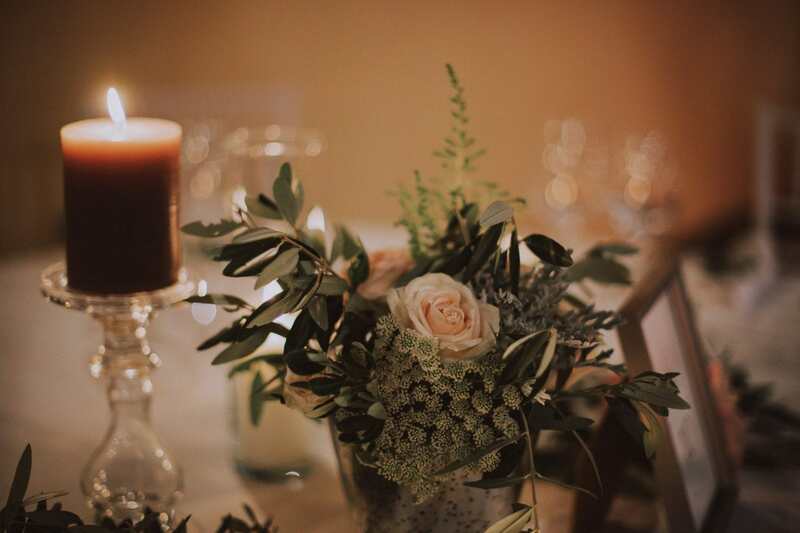 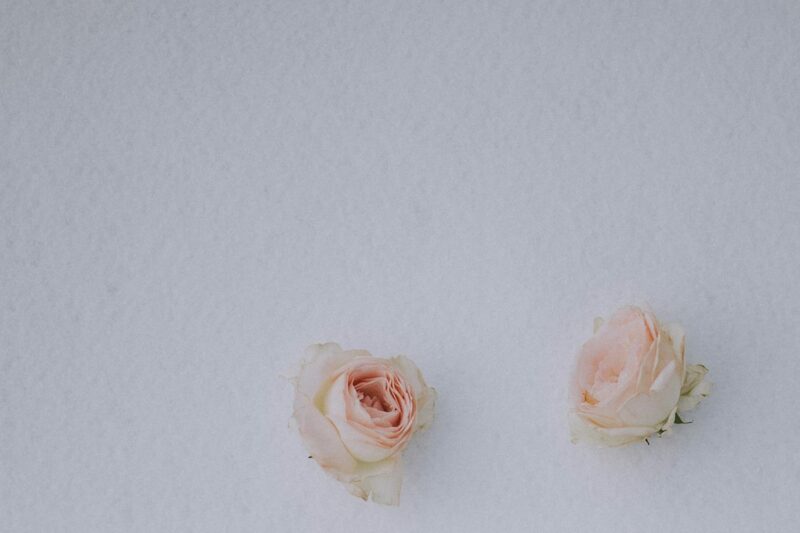 Every detail setup, from the candles and soft pink roses to the olive twigs, it’s been another great job made by Lepor weddings. 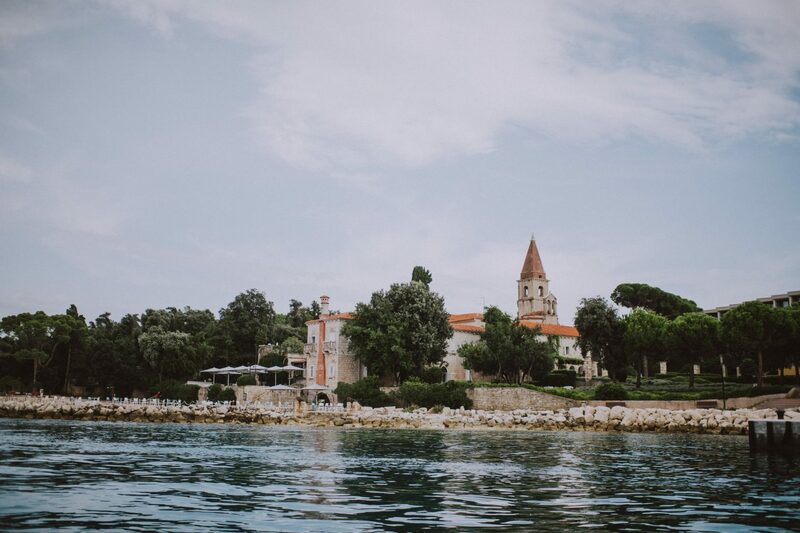 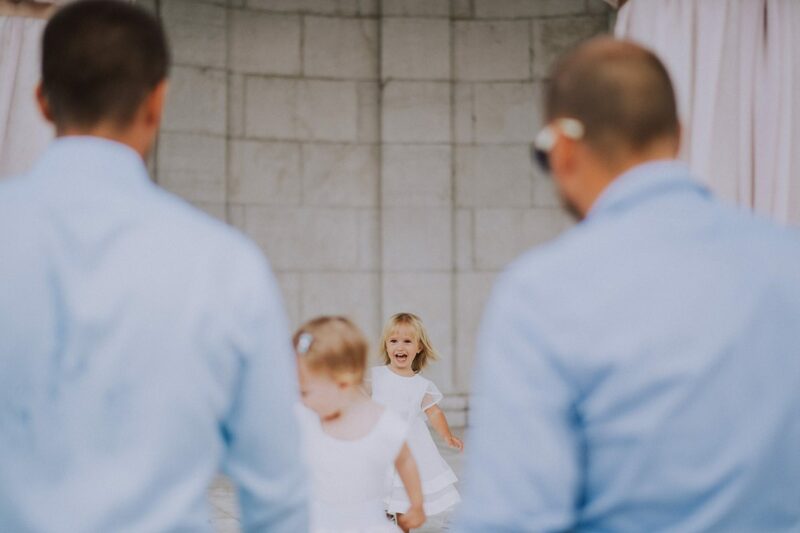 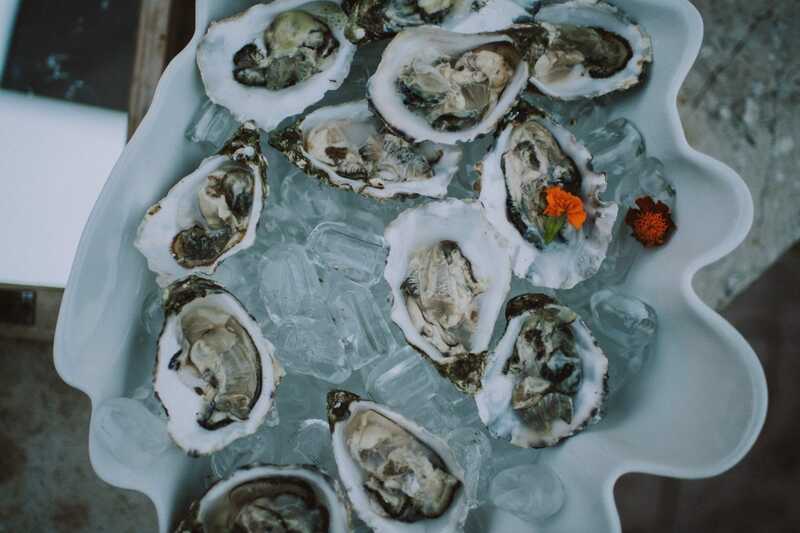 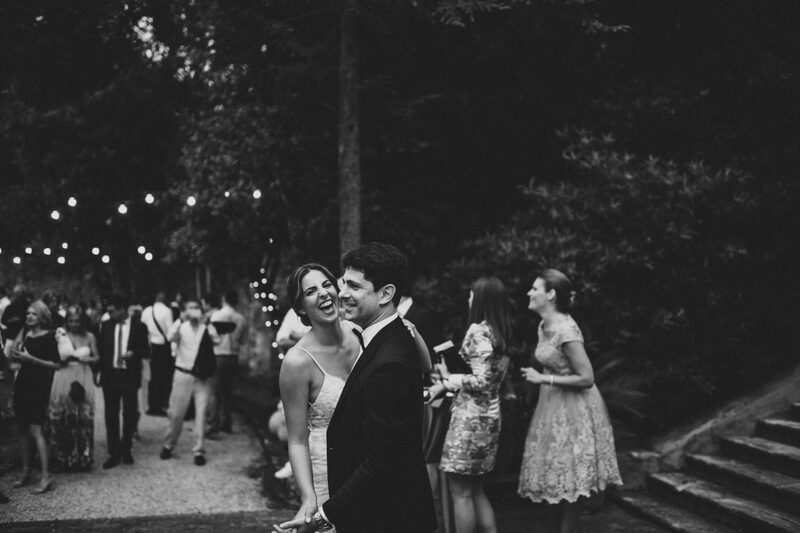 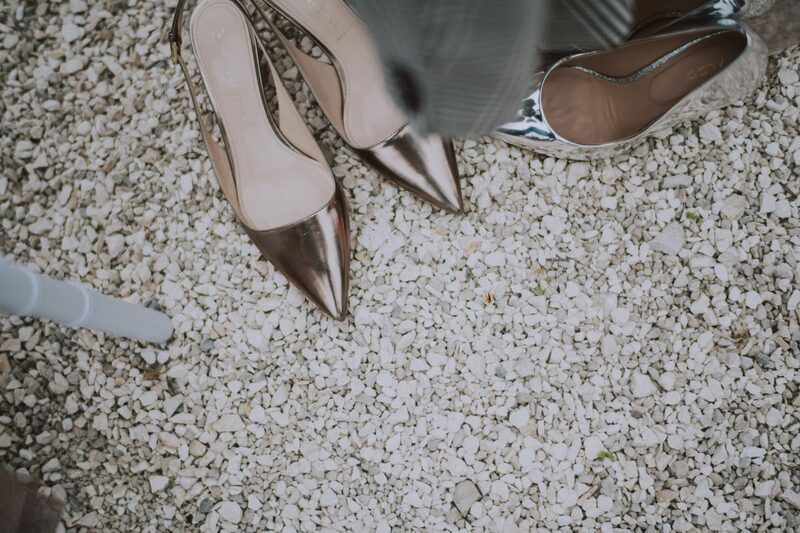 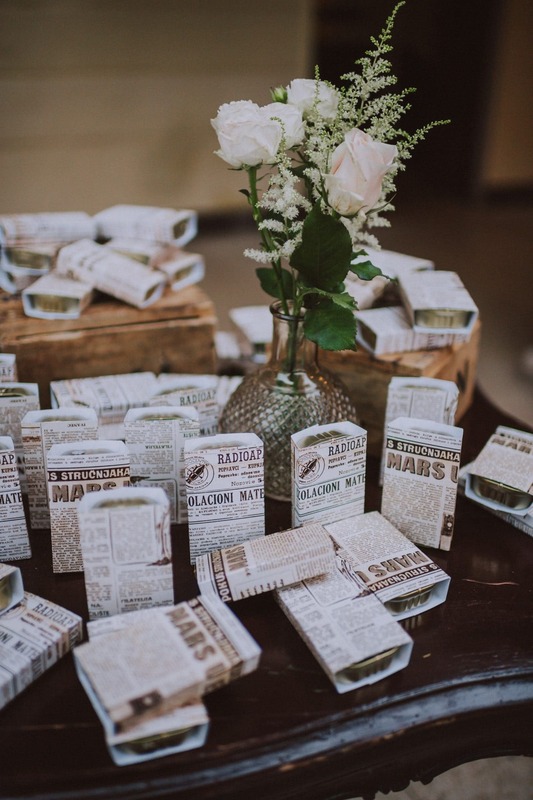 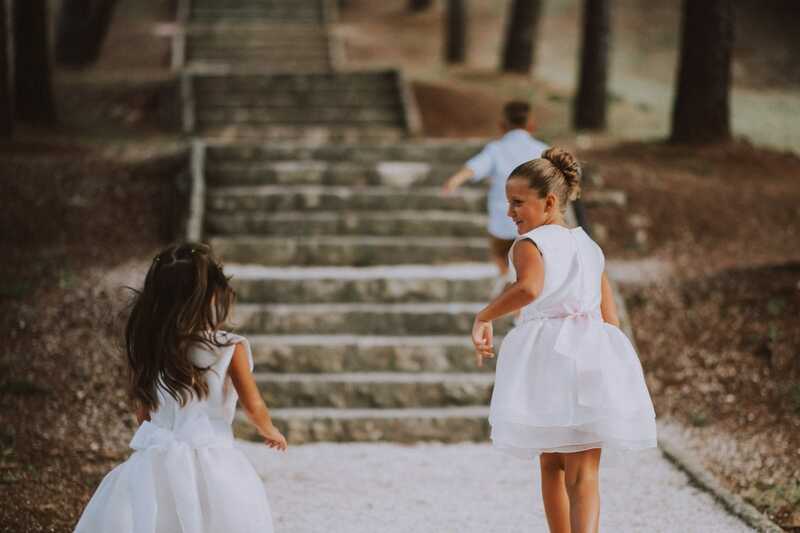 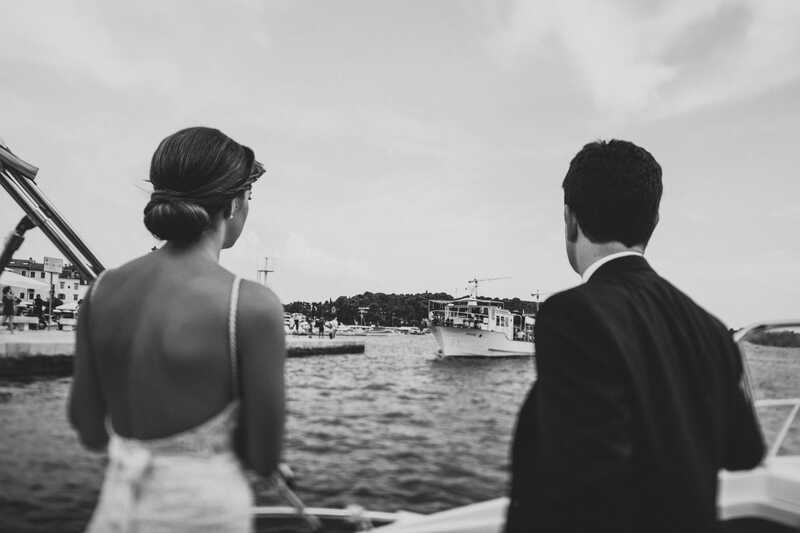 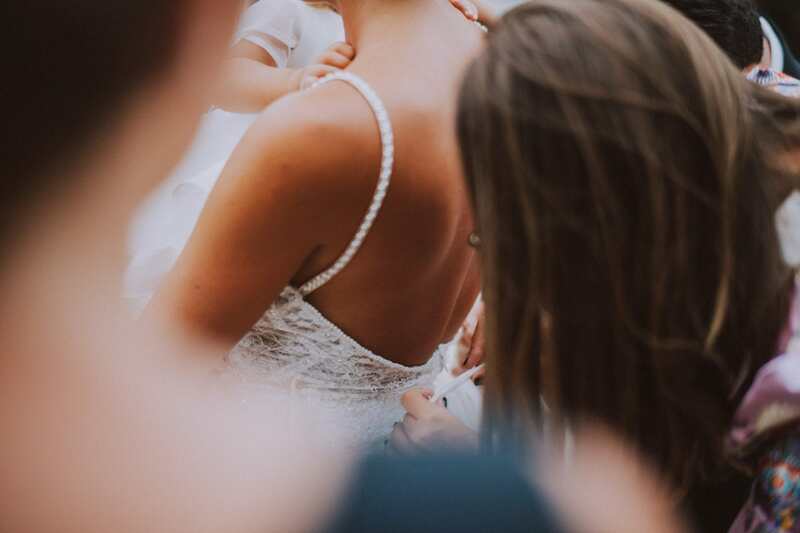 Once the wedding ceremony finished, the whole bridal party headed for the castle on St. Andrew’s island, a former Benedectine monastery founded in the 6th century. 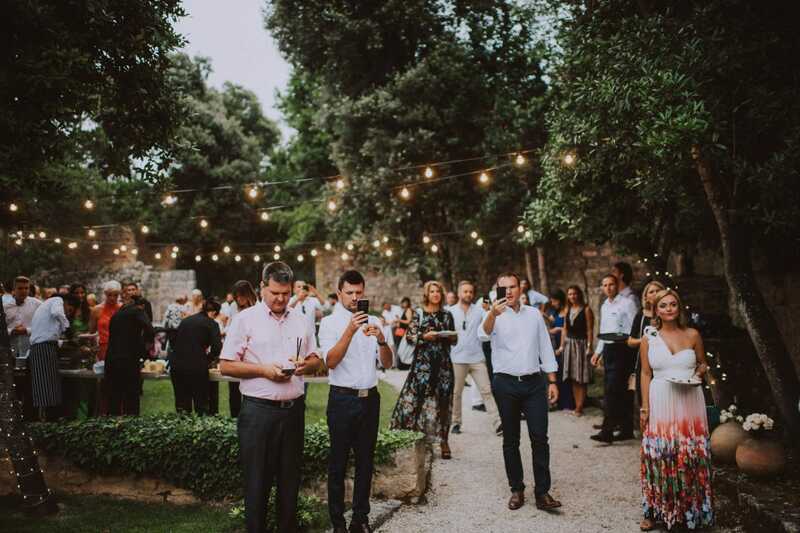 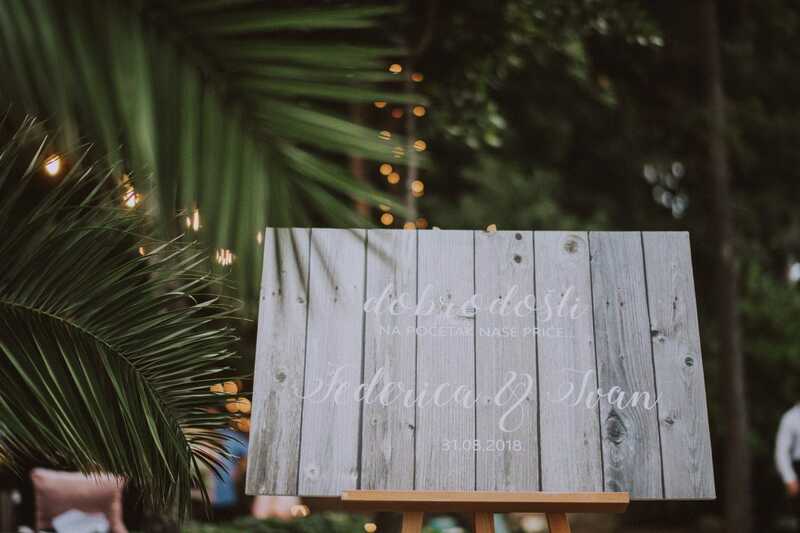 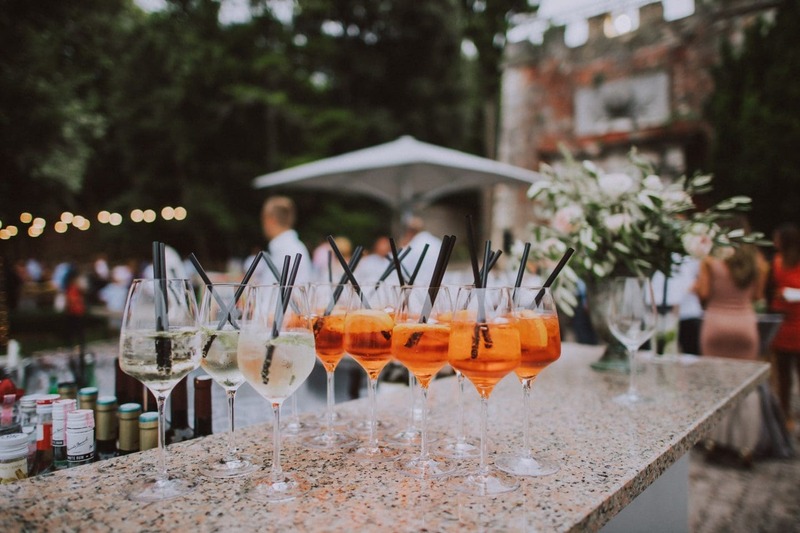 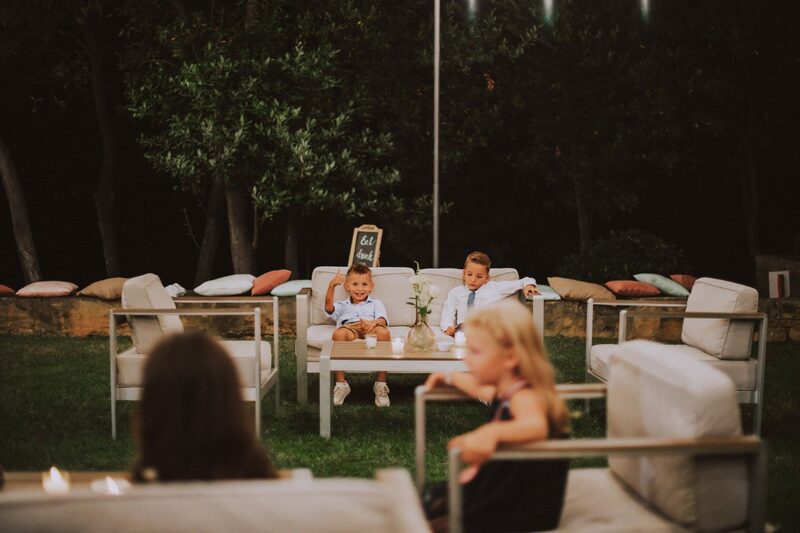 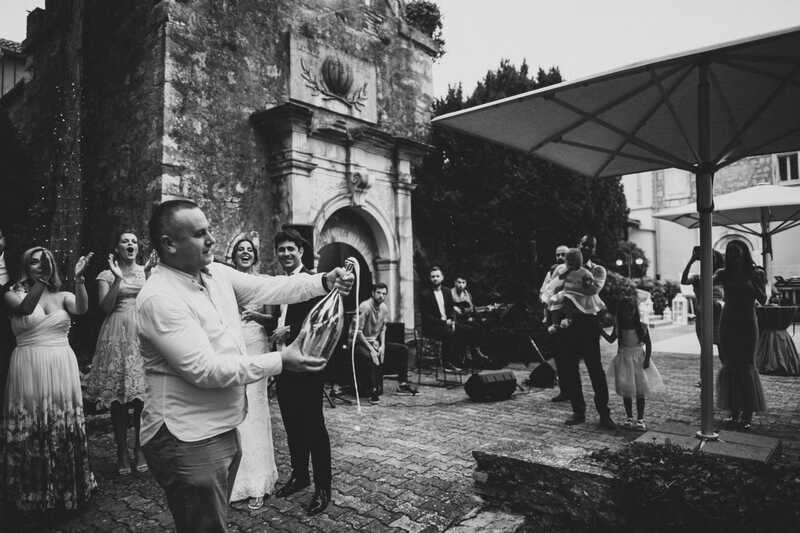 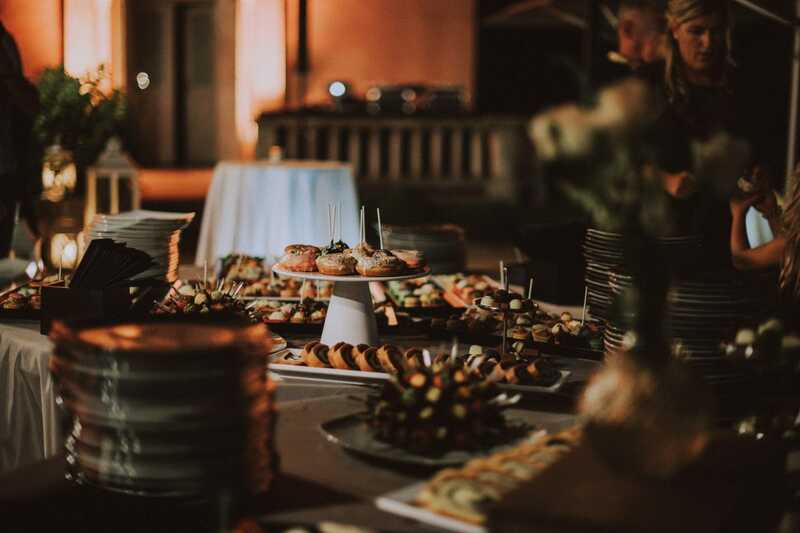 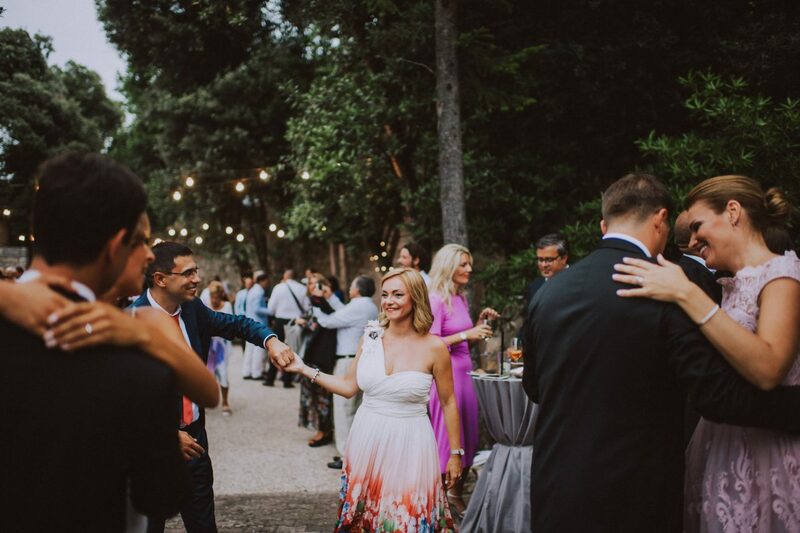 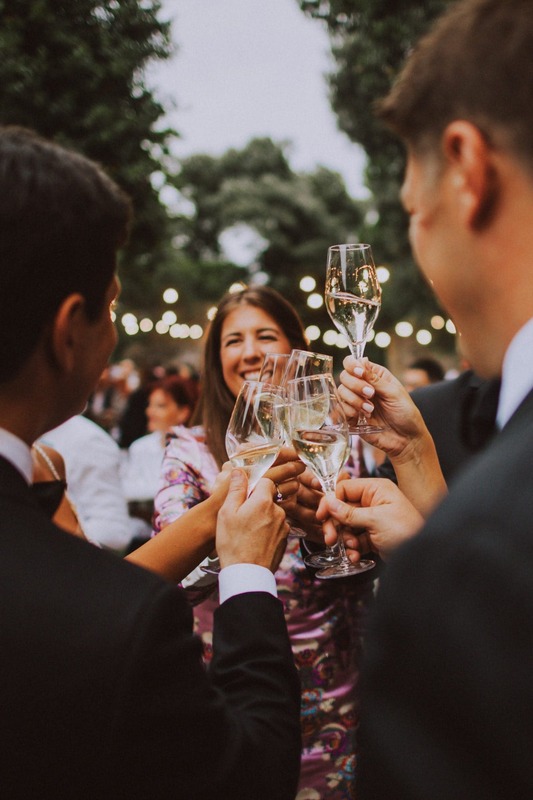 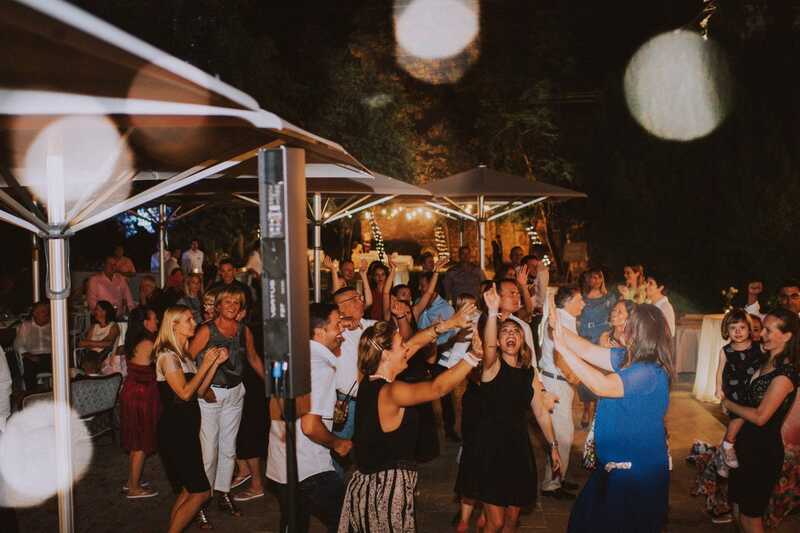 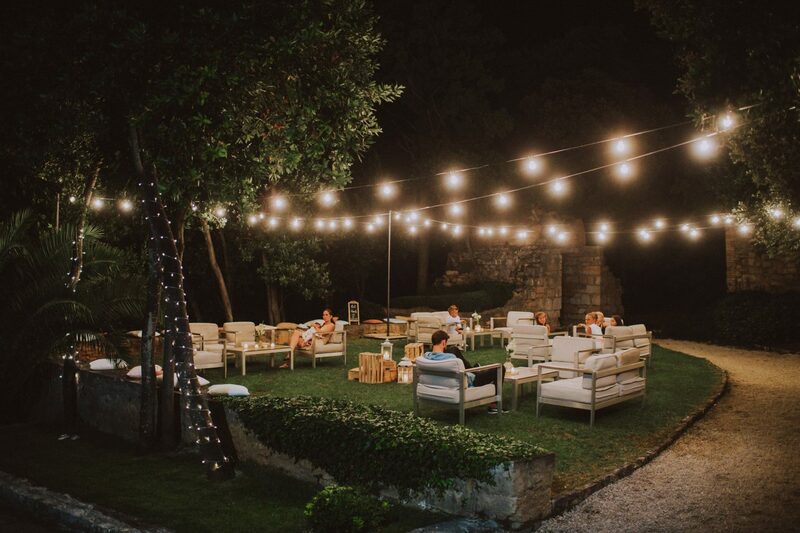 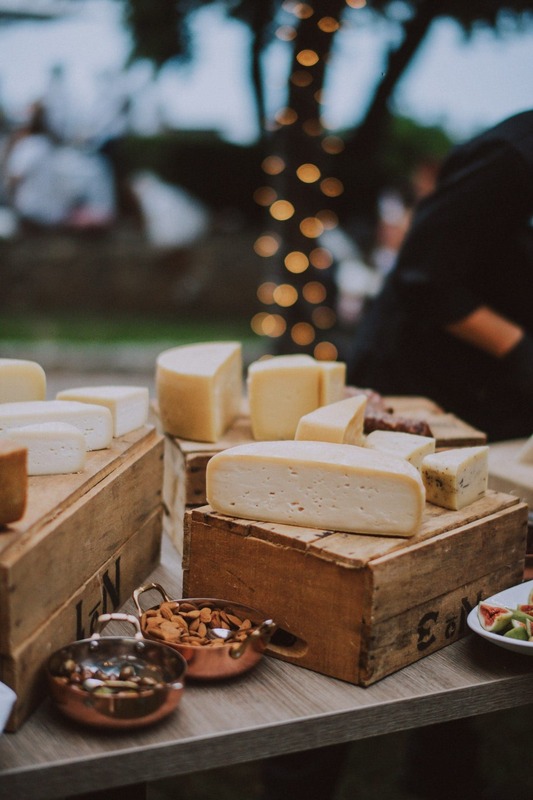 The cocktail hour took place in the garden beside the castle with a view, where guests toasted bride and groom with renowned wines and Istrian local food. 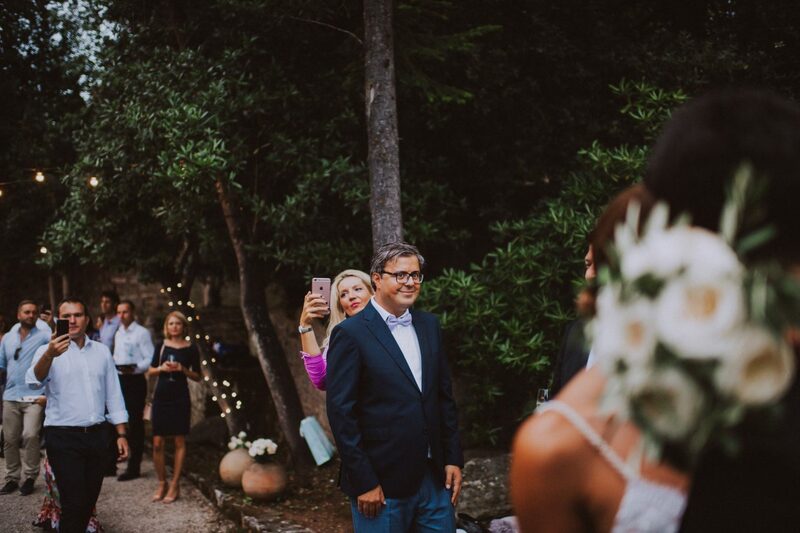 The cherry on the cake was Ivan’s surprise for his bride. 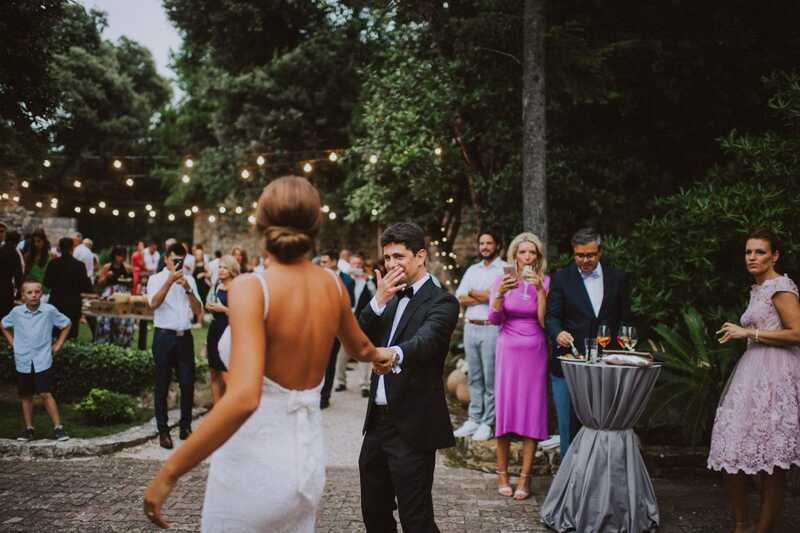 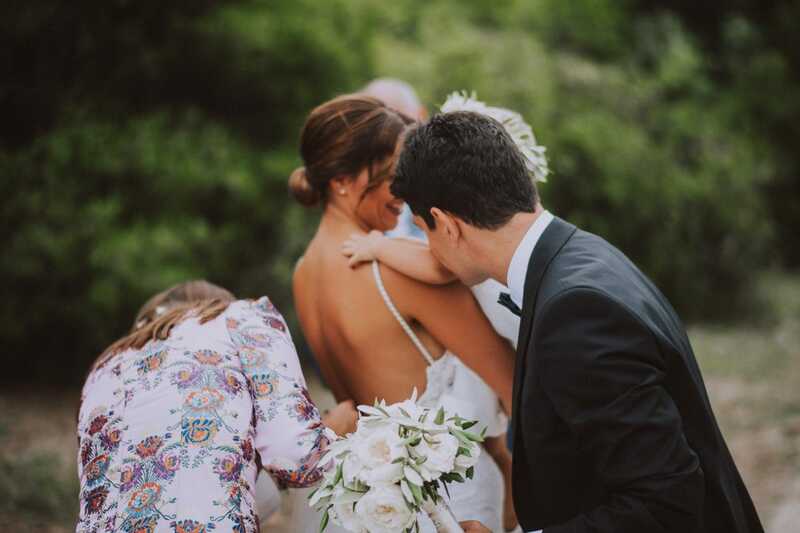 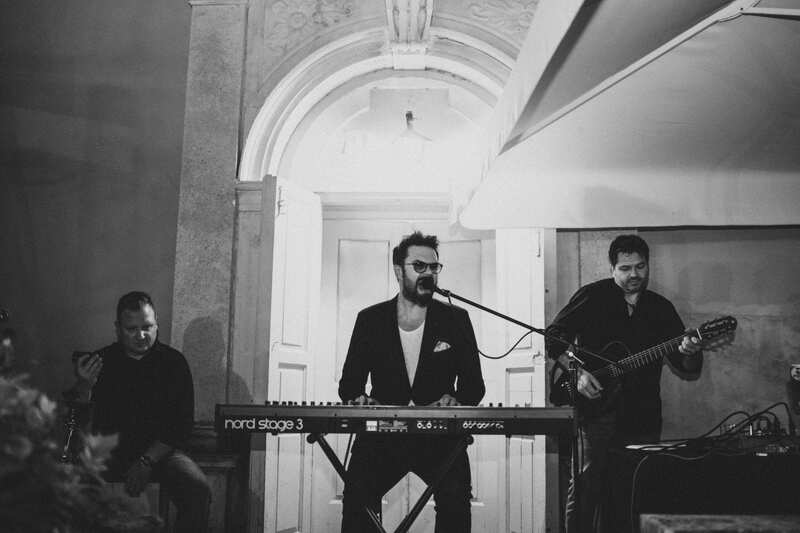 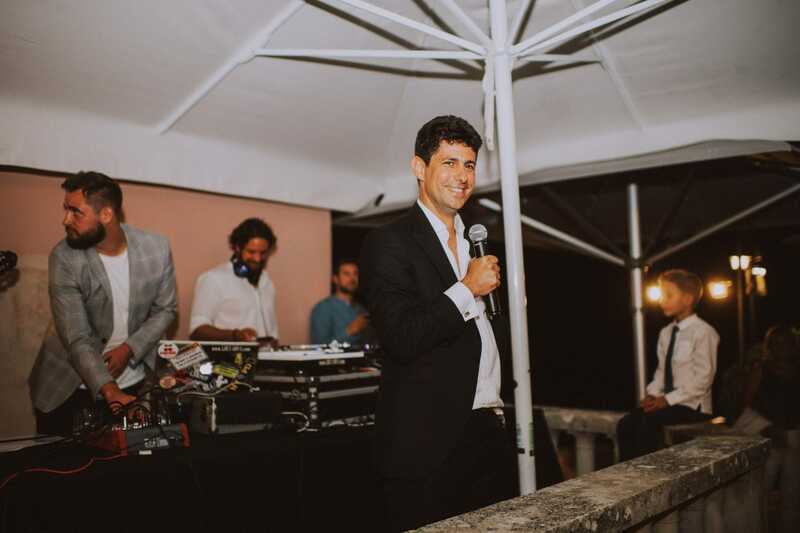 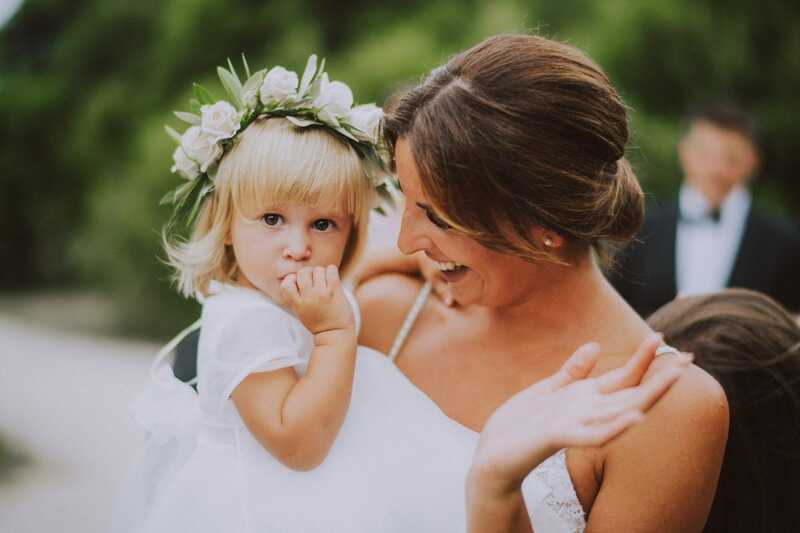 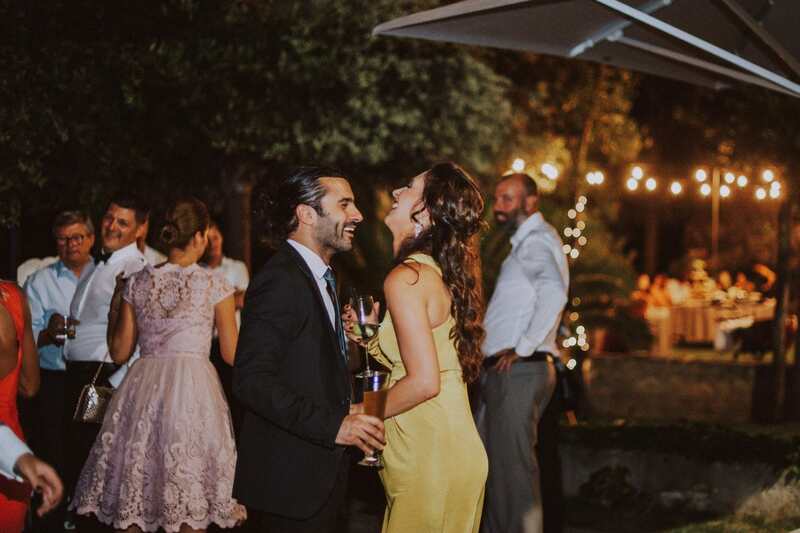 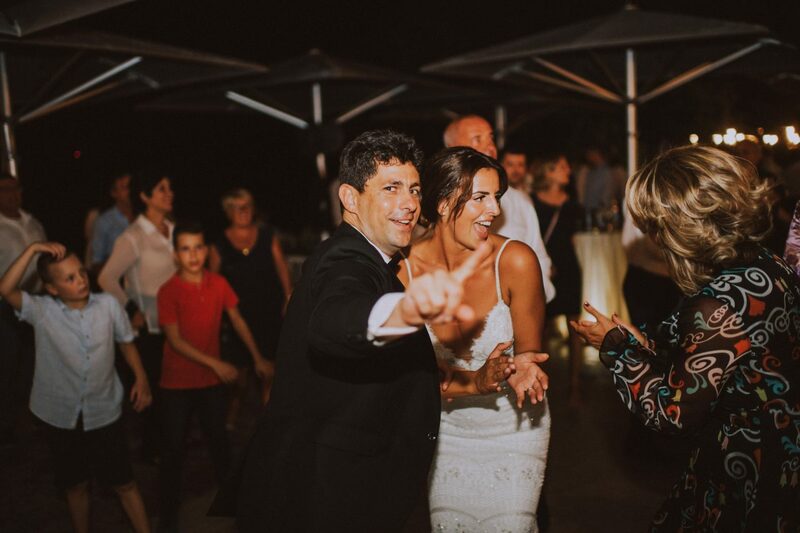 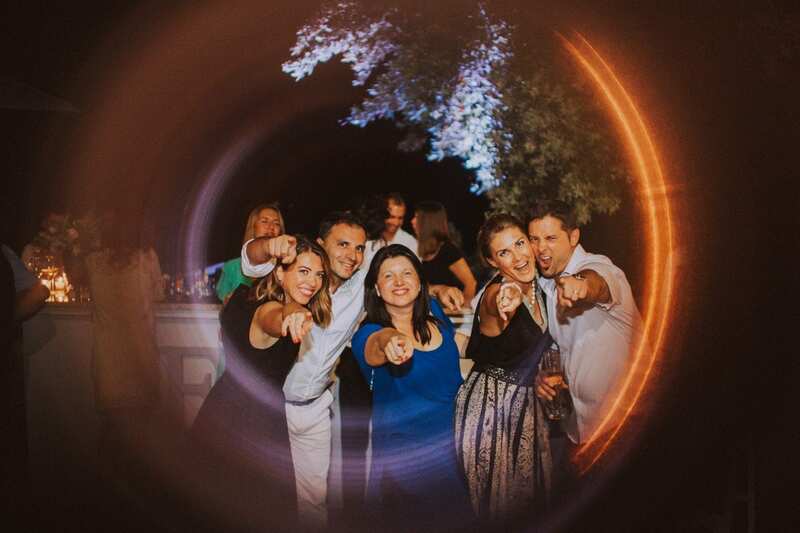 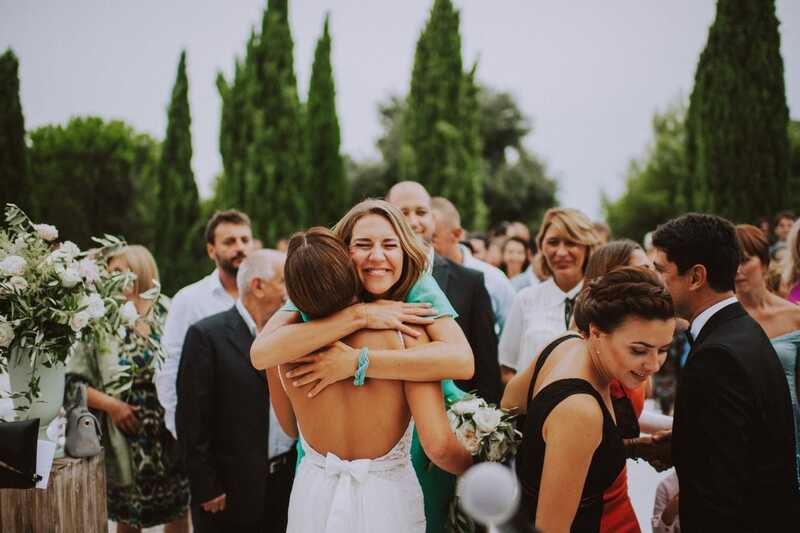 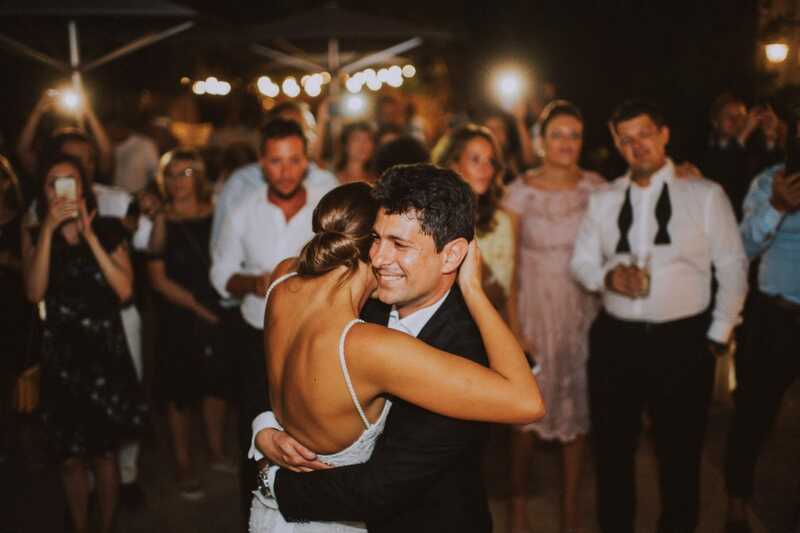 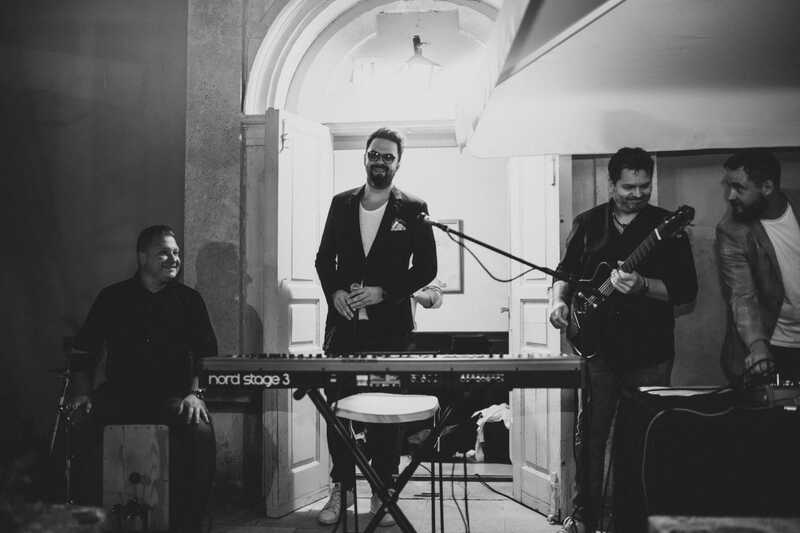 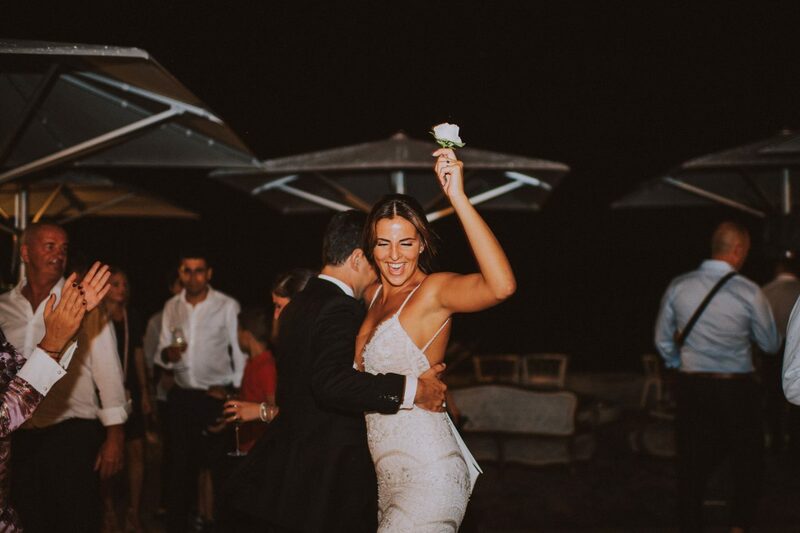 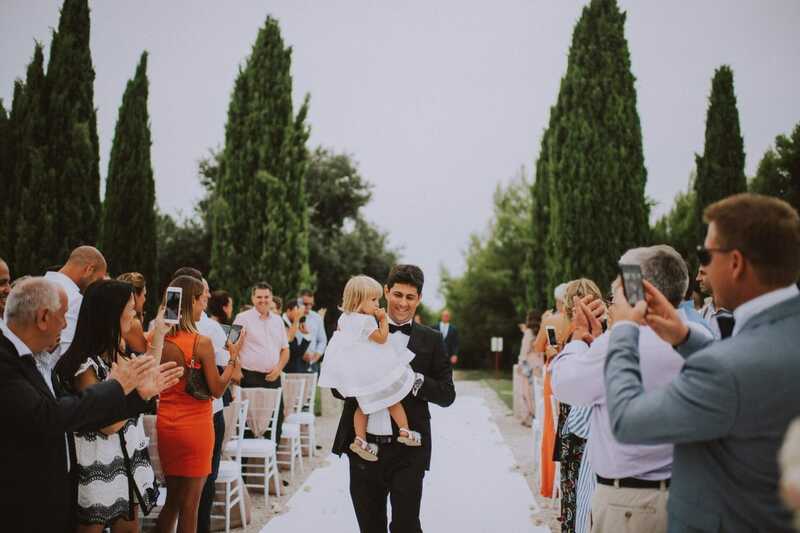 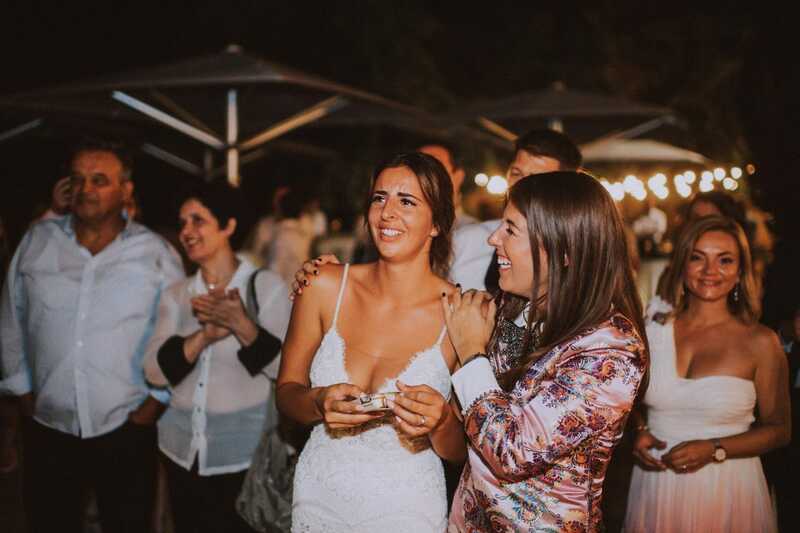 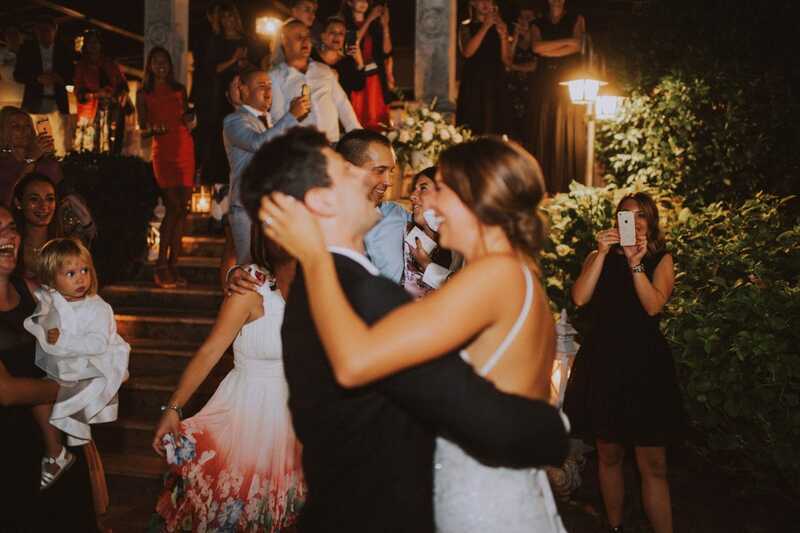 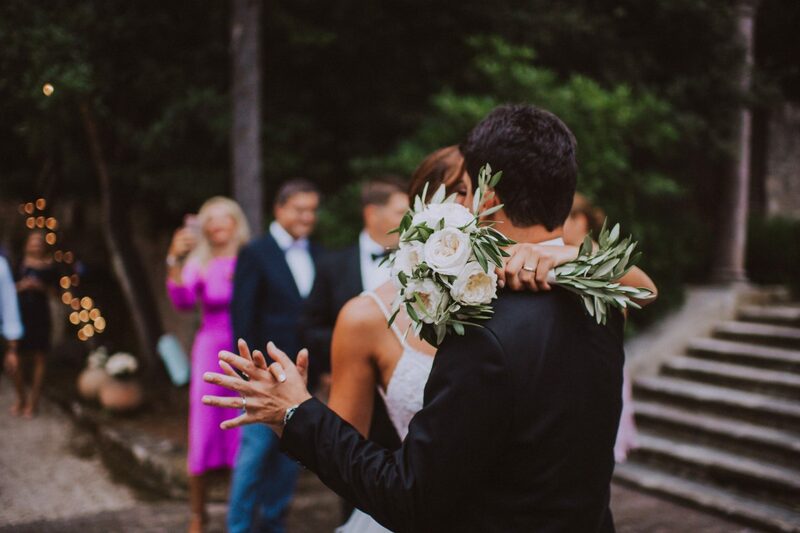 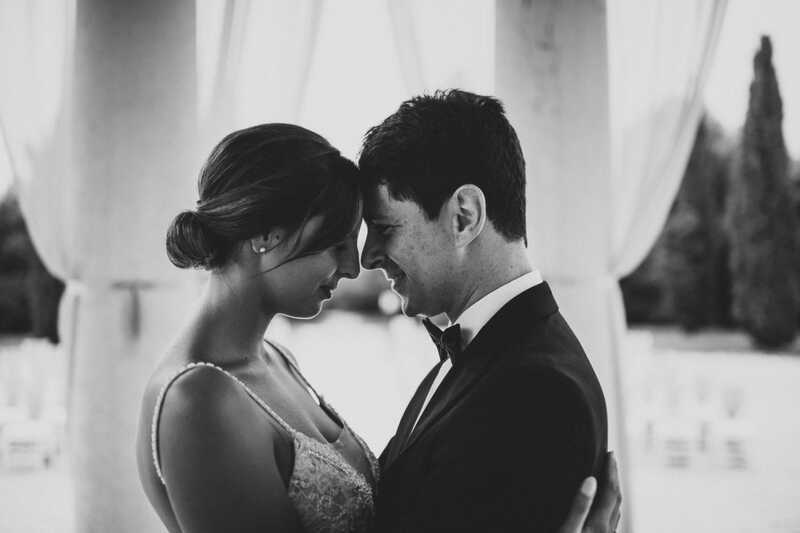 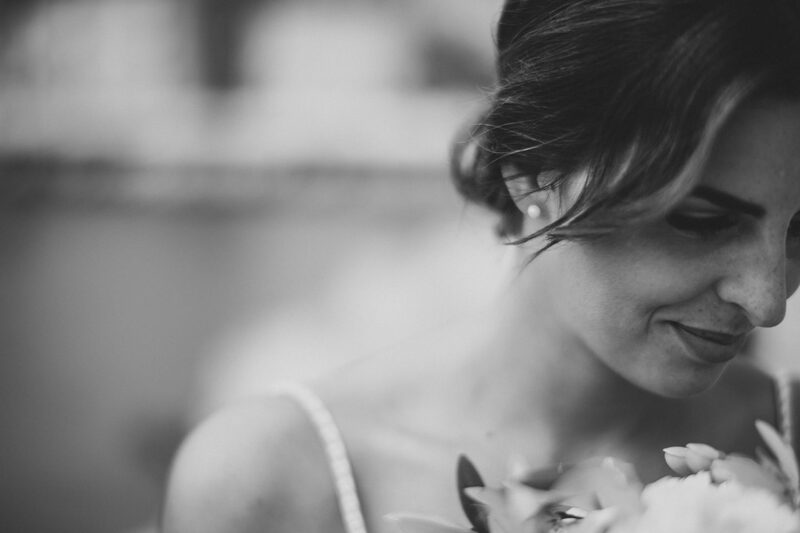 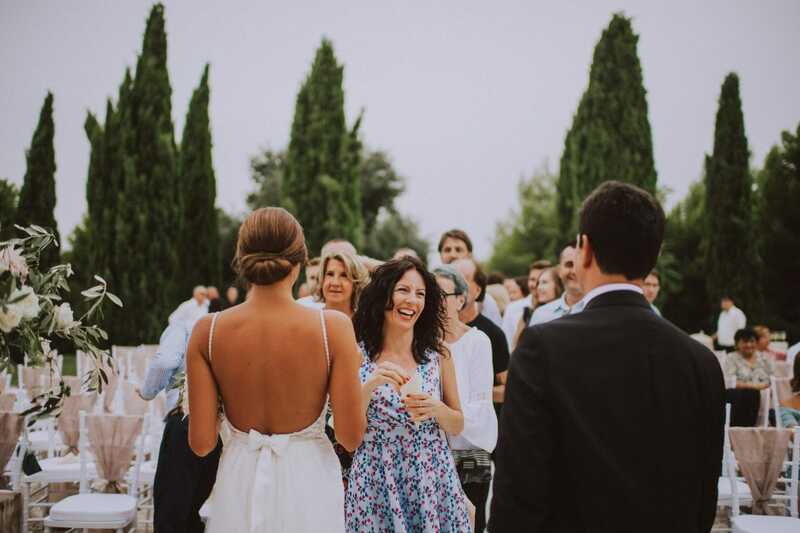 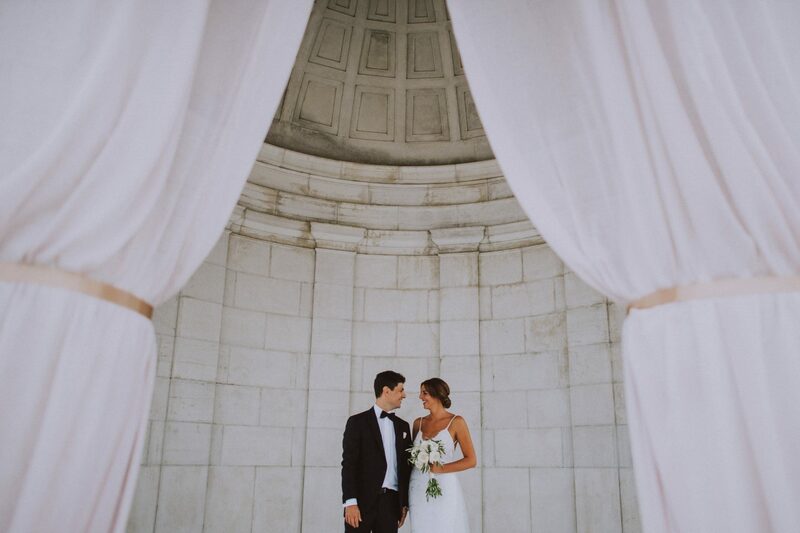 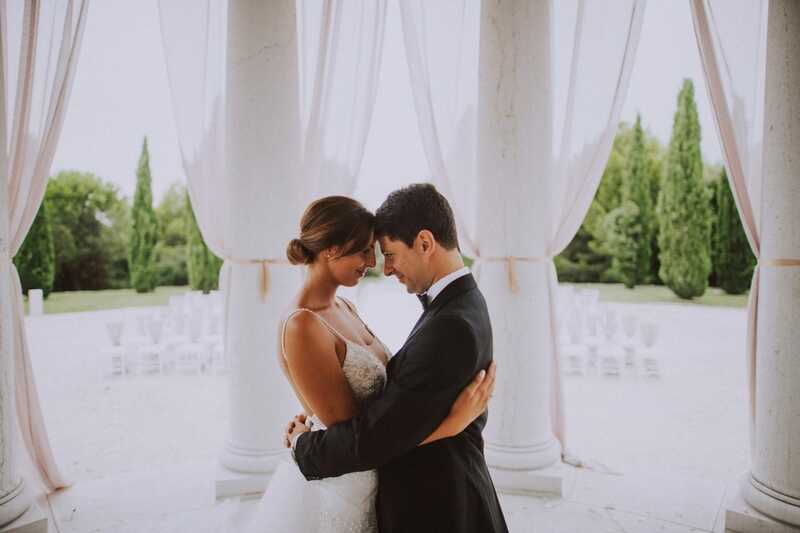 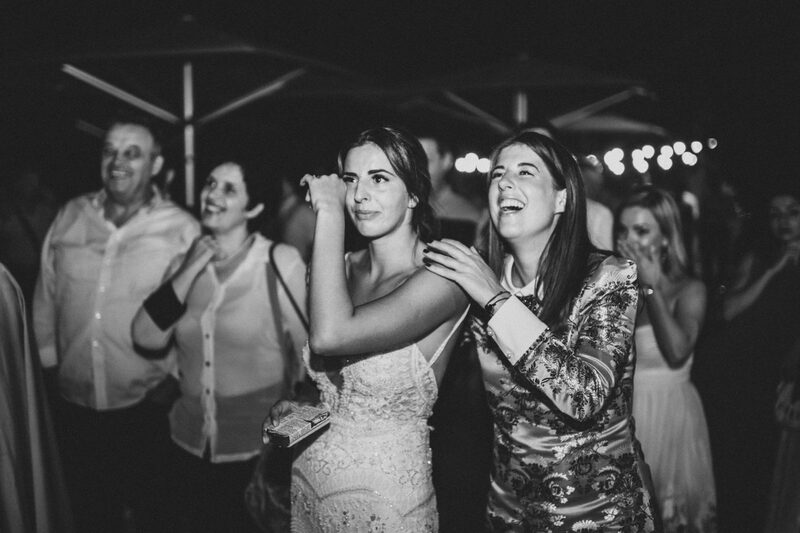 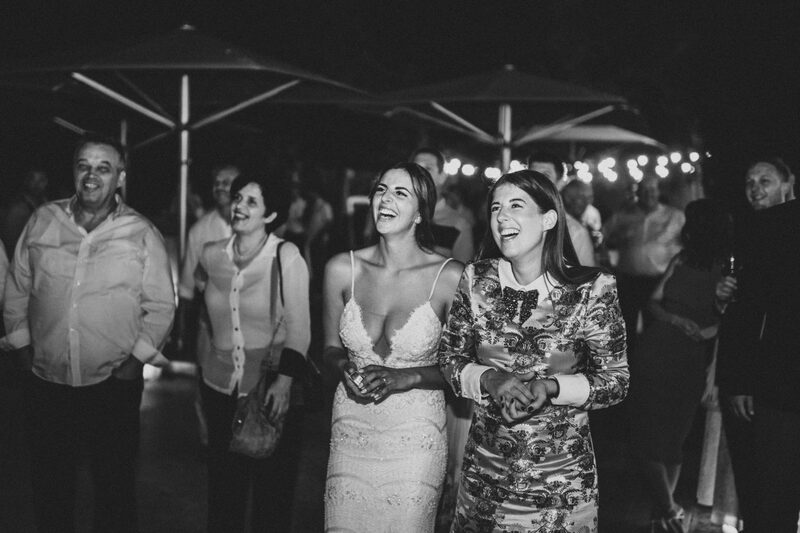 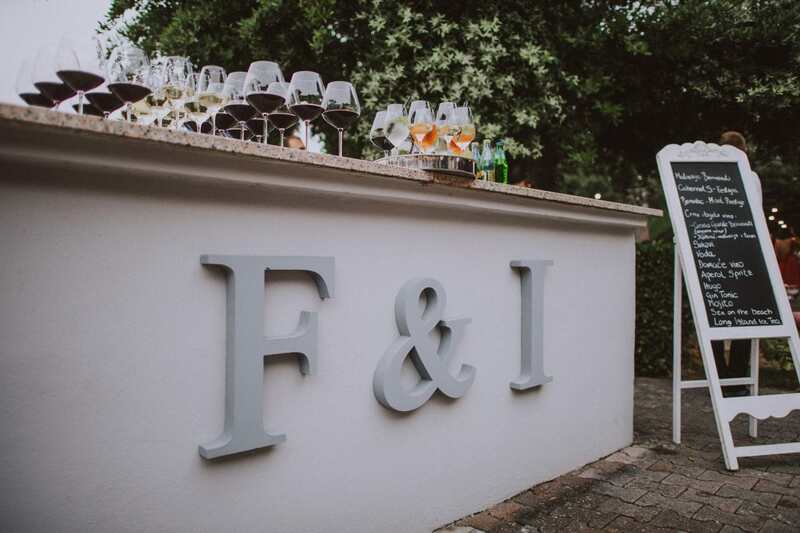 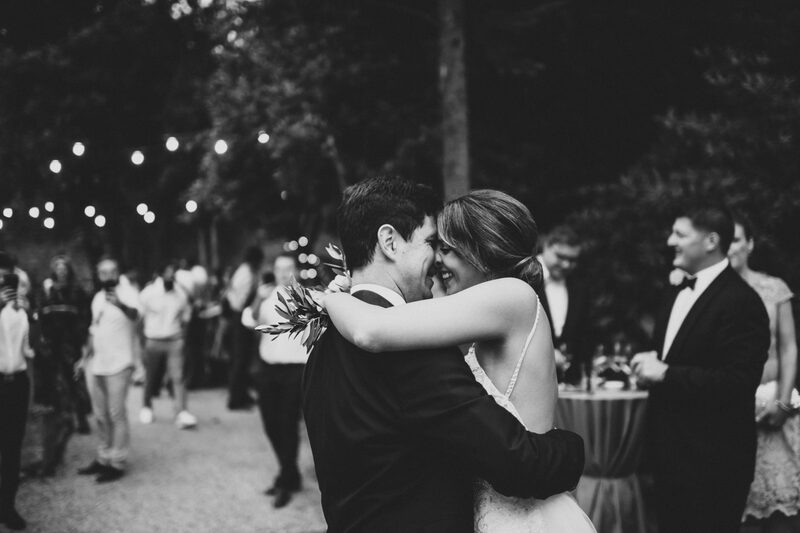 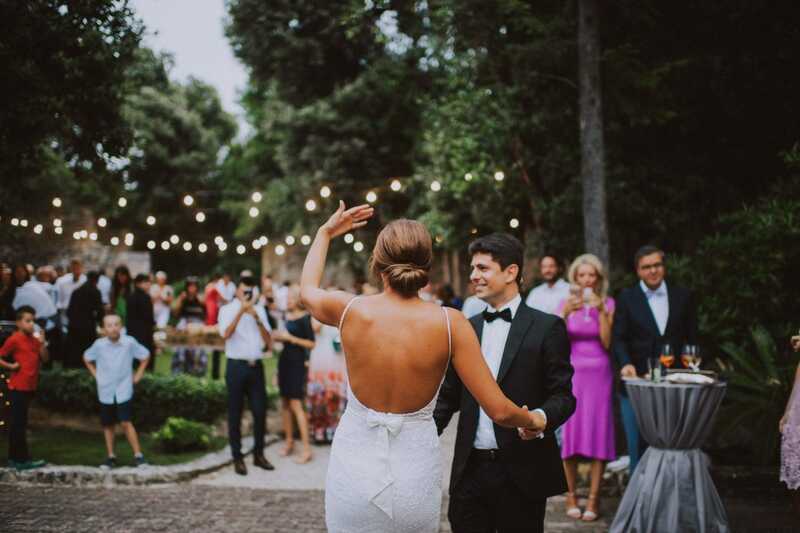 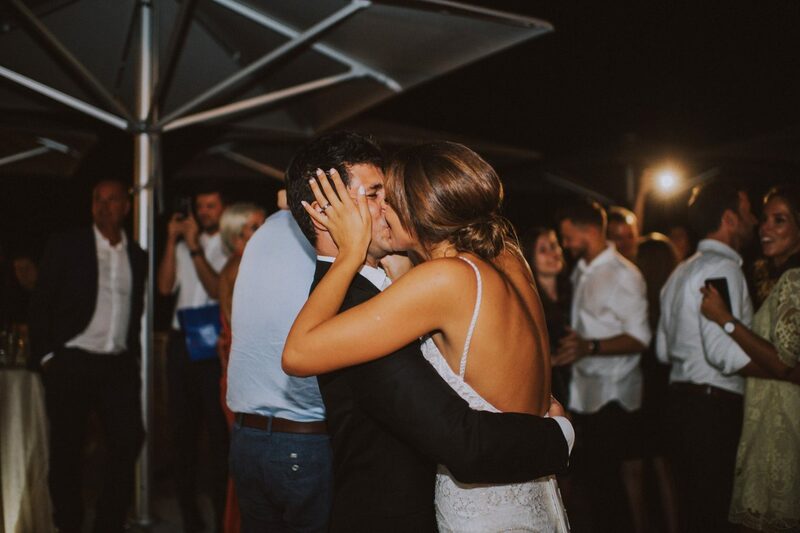 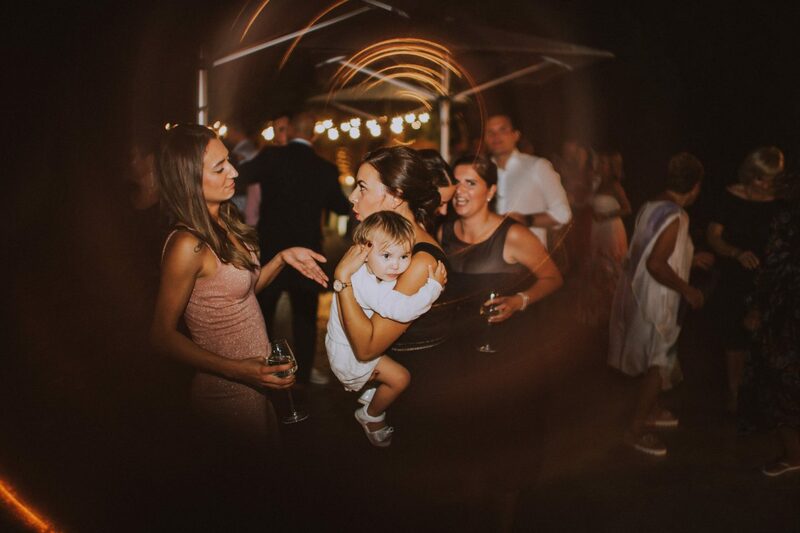 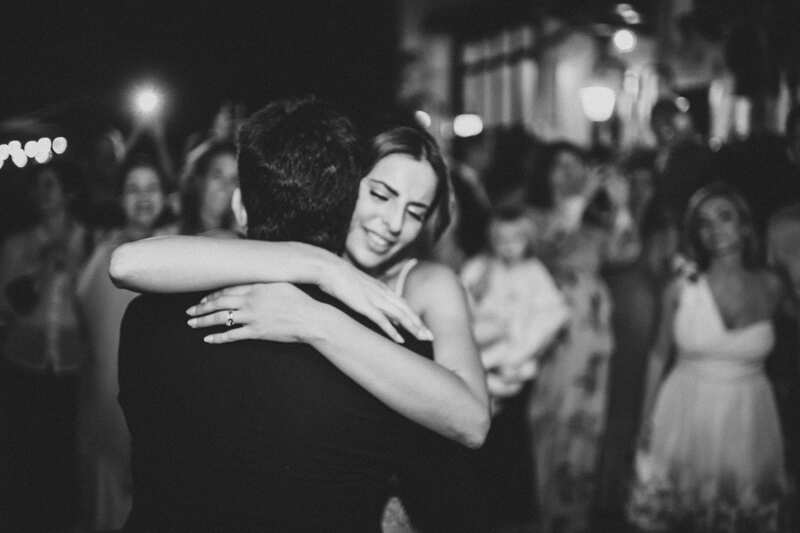 Federica already expected it to be the most special day of her life, but she had no idea she was in the presence of her favorite singer Petar Graso, who attended the party just to sing her a couple of love songs. 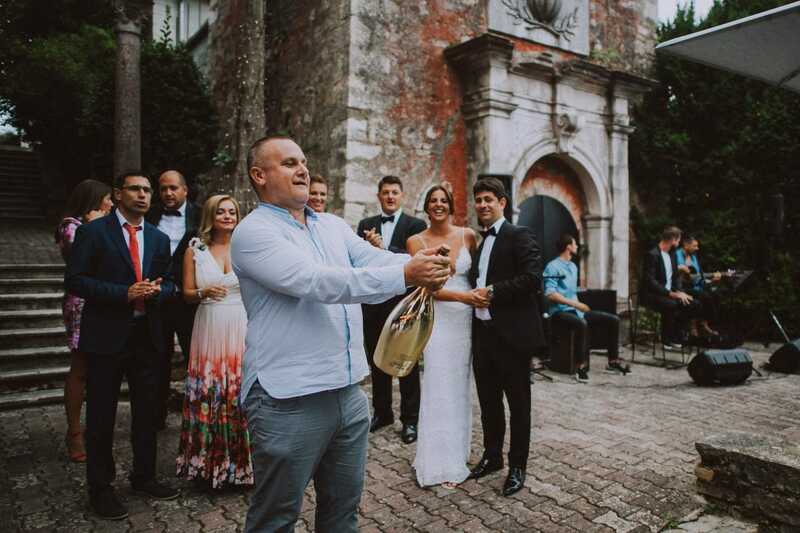 Ivan was the only person who knew what was about to happen in the moments following his speech. 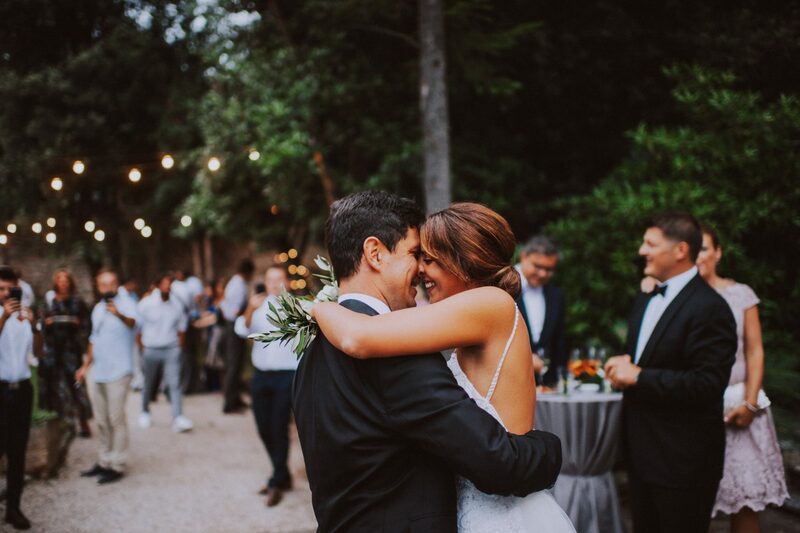 Tears of joy! 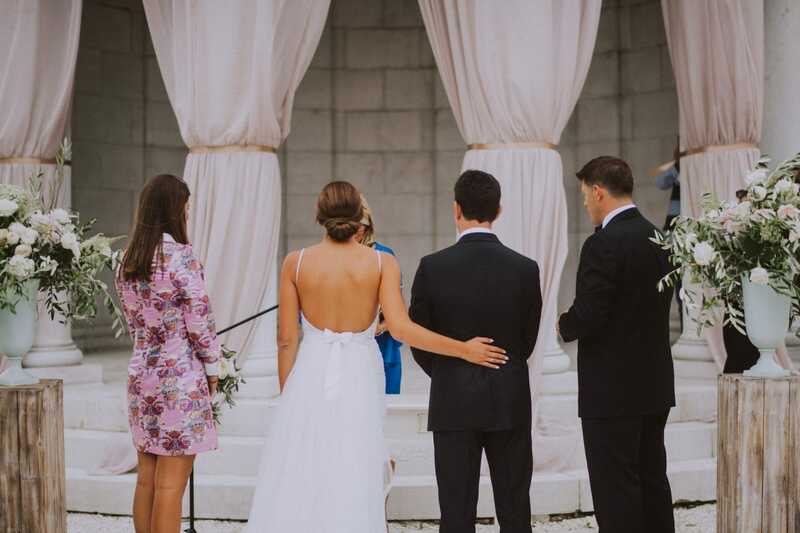 What an incredible wedding! 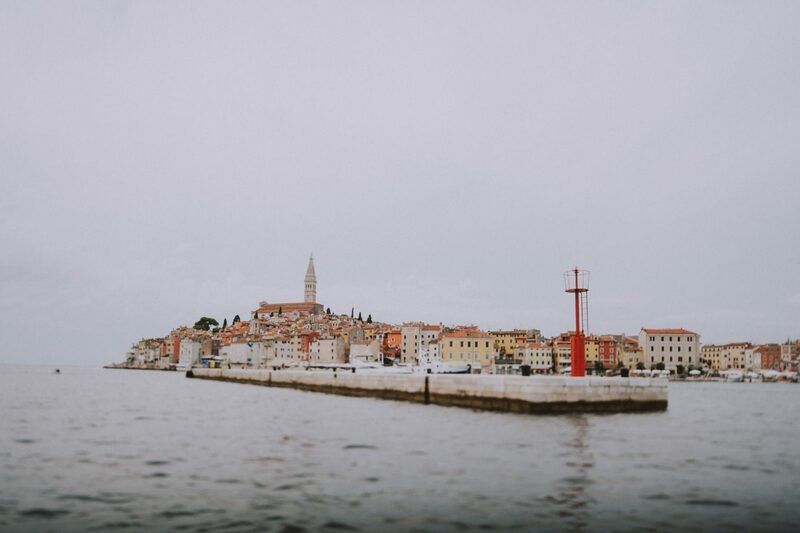 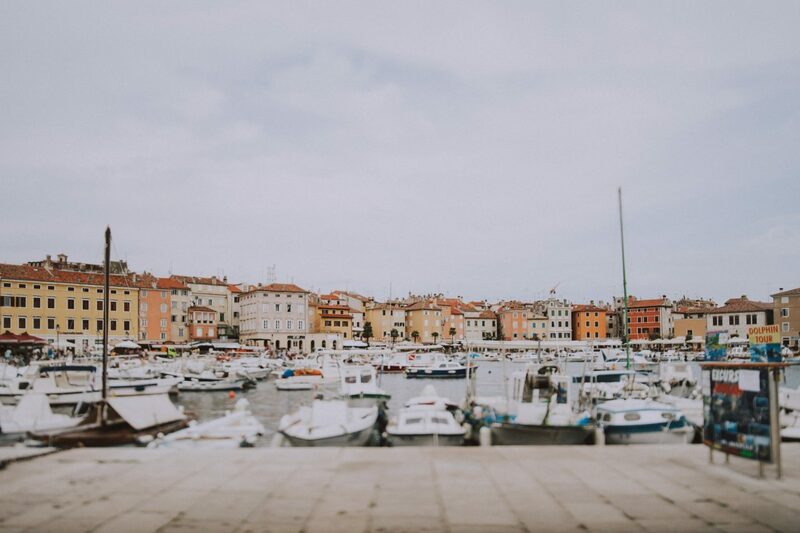 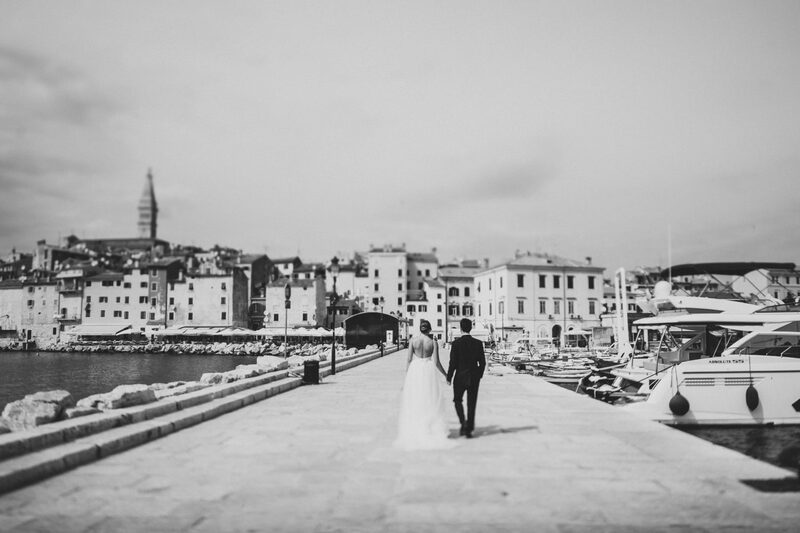 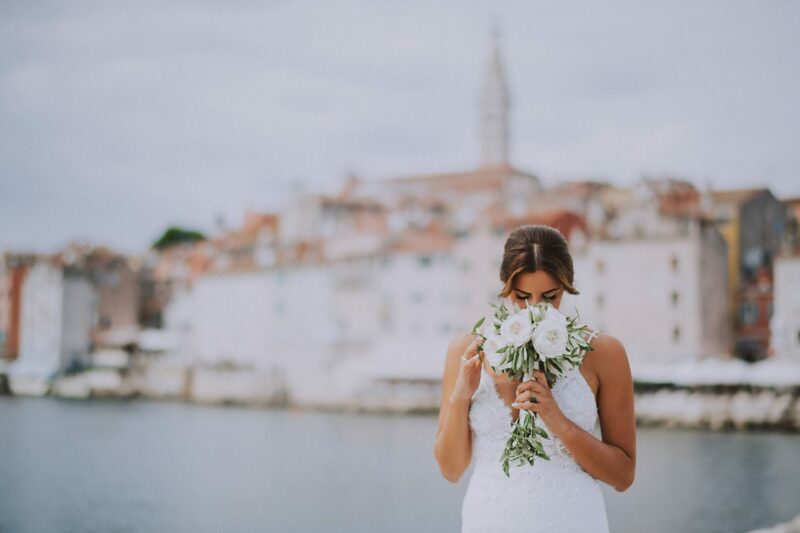 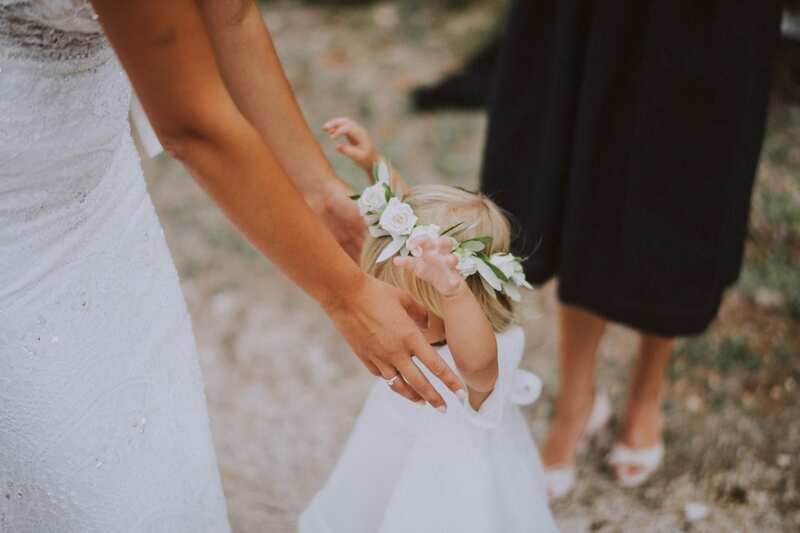 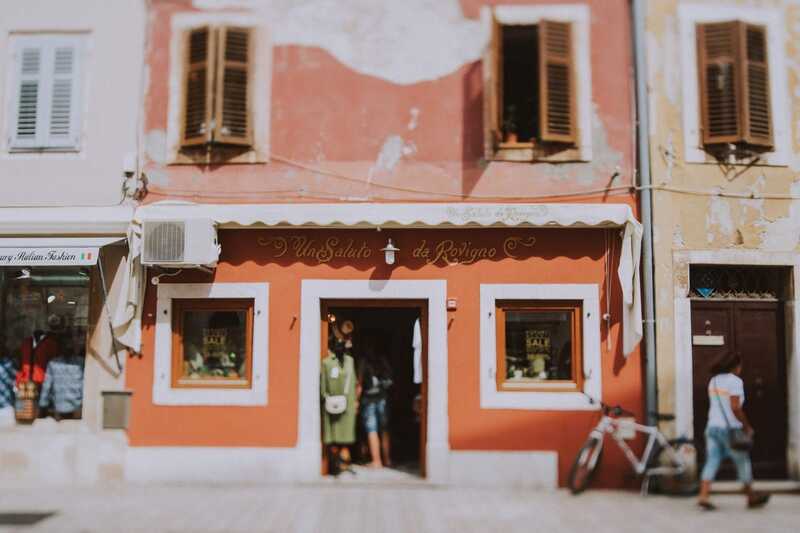 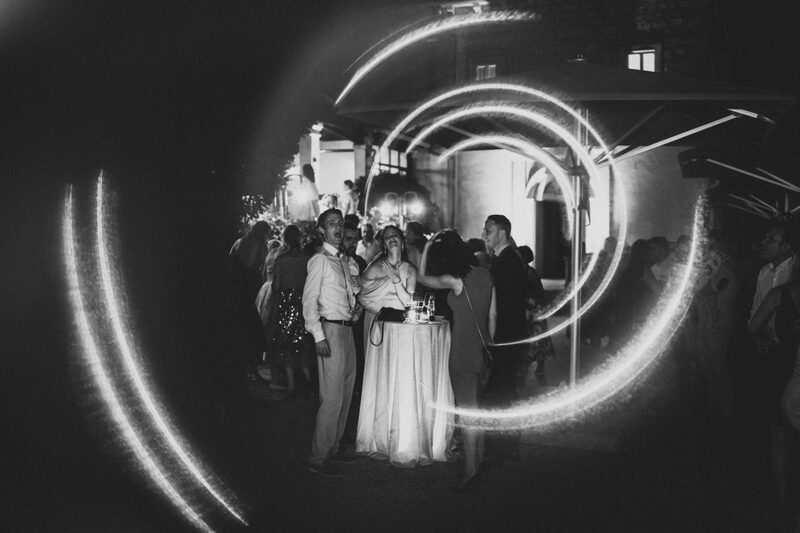 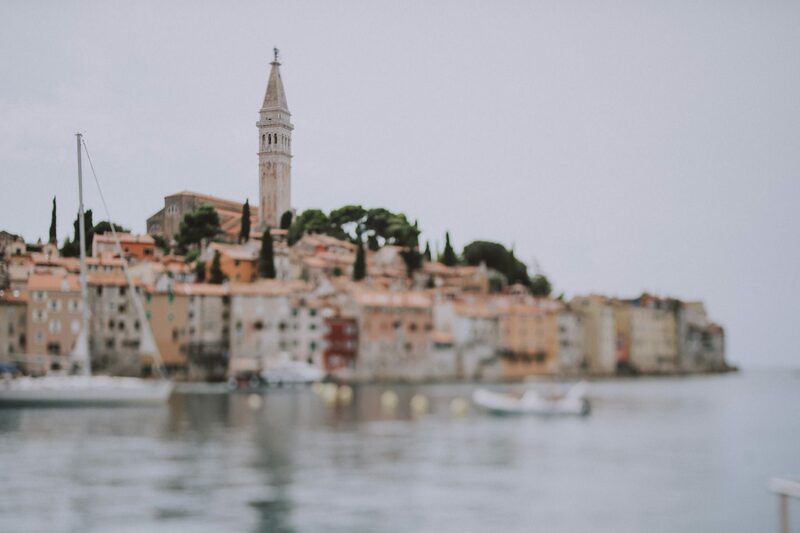 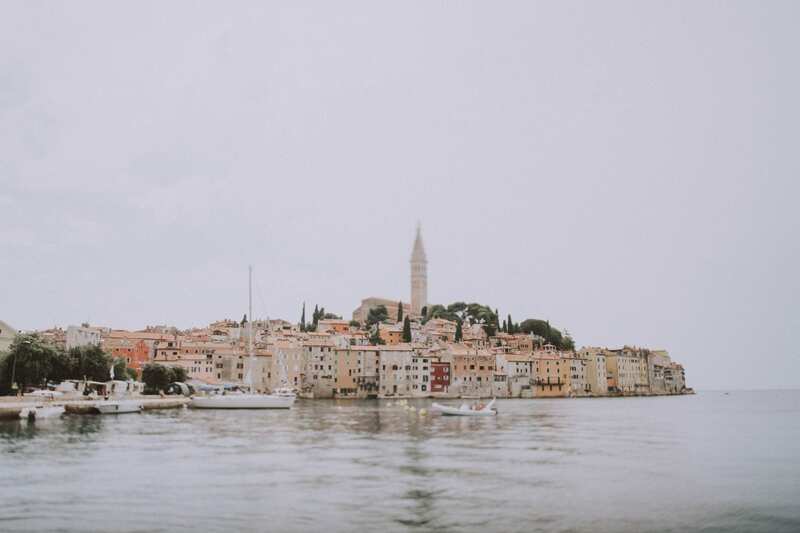 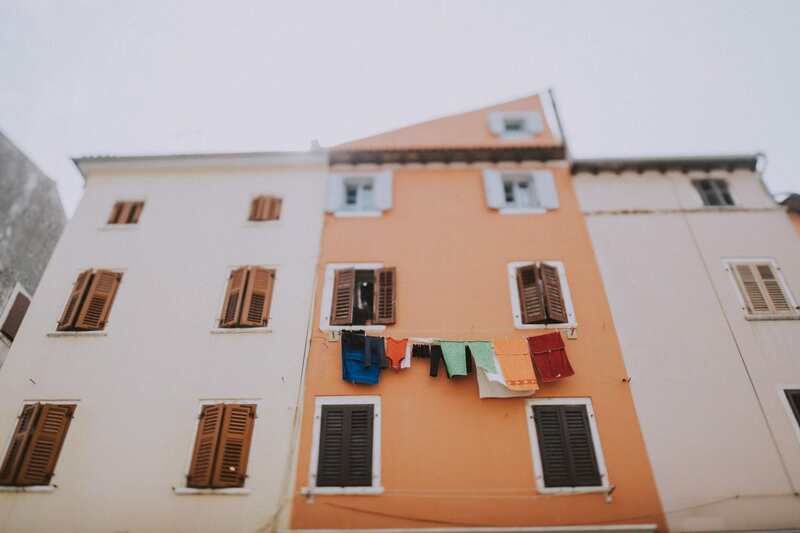 LOOKING FOR YOUR WEDDING, HONEYMOON, ELOPEMENT, PROPOSAL OR ENGAGEMENT PHOTOGRAPHER IN ROVINJ?